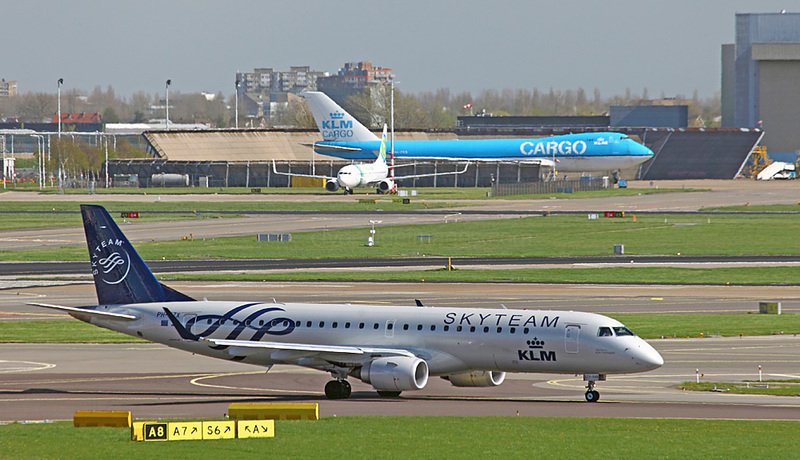 In April 2016, I had the chance to spend some time at Schiphol on two separate days photographing the planes. 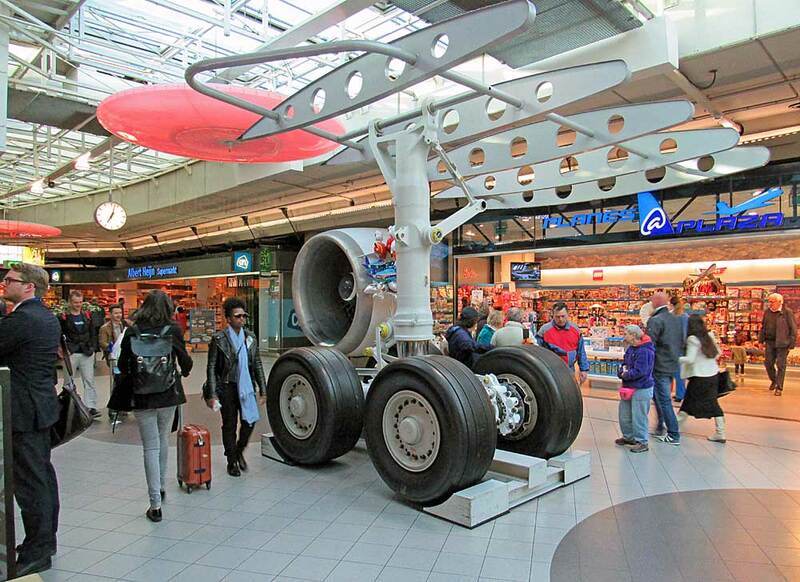 Amsterdam's world famous gateway is the main international airport of the Netherlands and is located approximately 9 km; 5.5 miles southwest of the city. 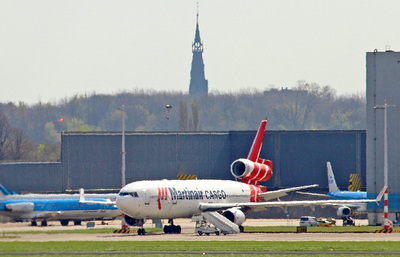 Prior to 1852, the Haarlemmermeer polder in which the airport lies was a large, fairly shallow lake. Polder means 'reclaimed body of water' in Dutch. 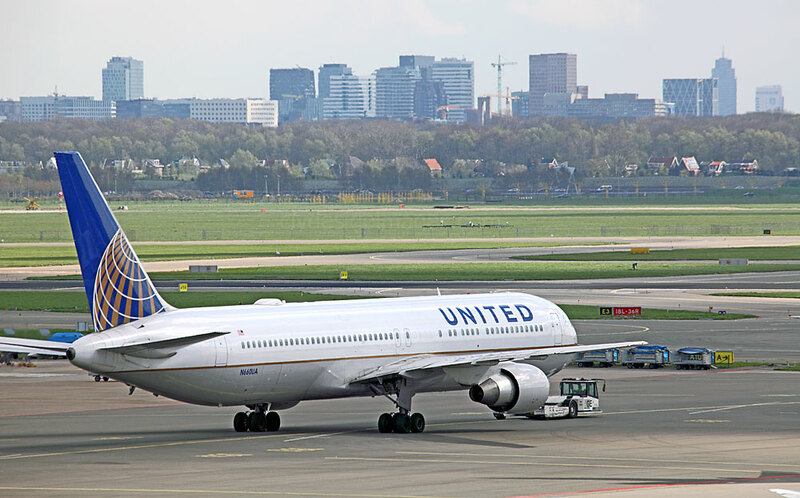 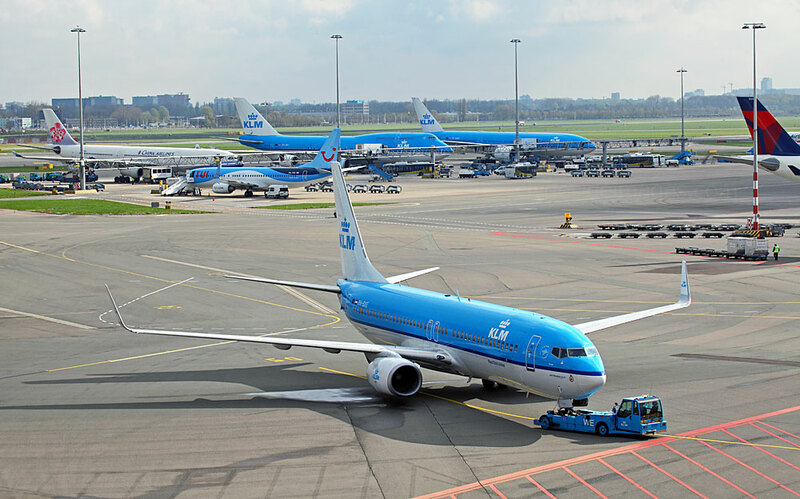 Now a major transportation hub, Schiphol cemented its place in aviation history at an early age with an aircraft landing here for the first time in August 1916. 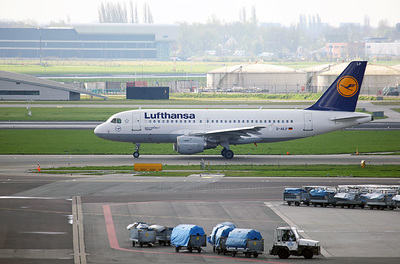 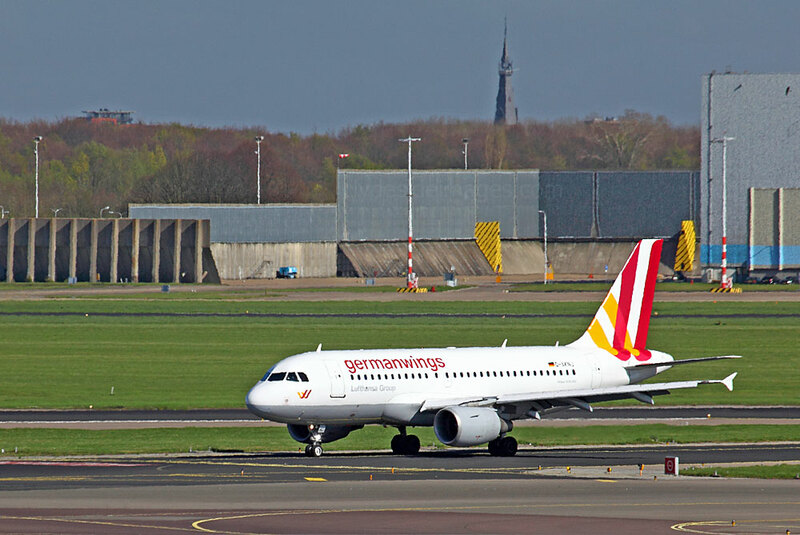 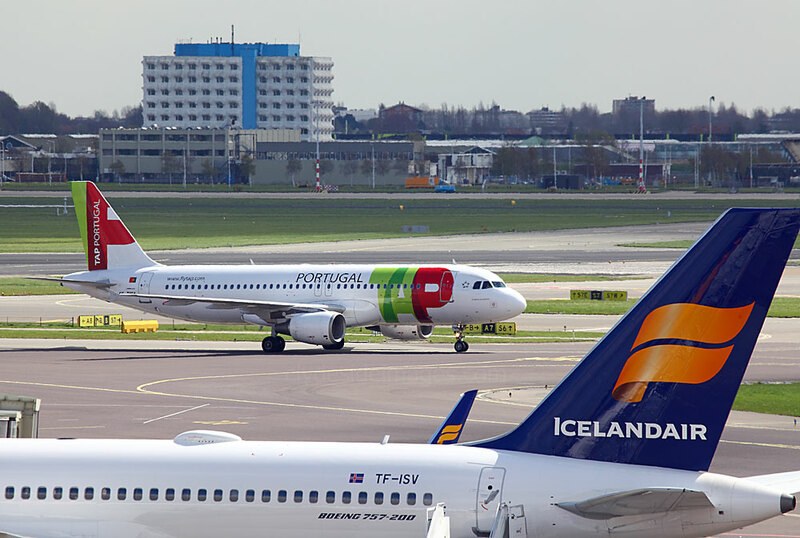 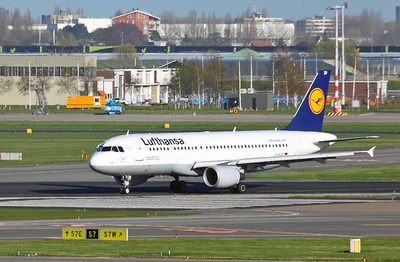 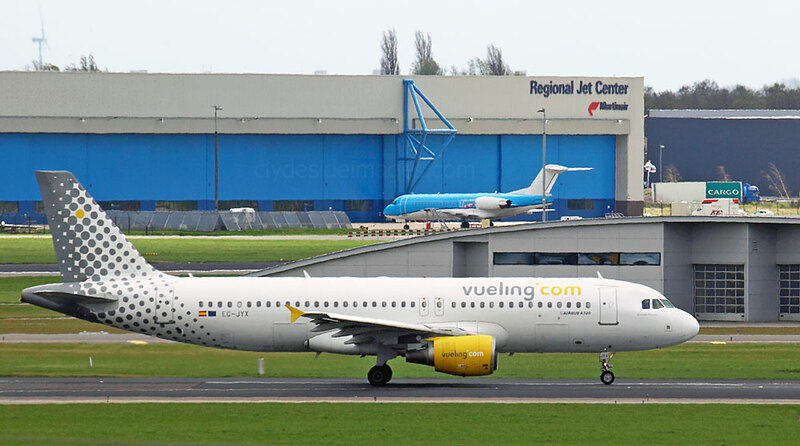 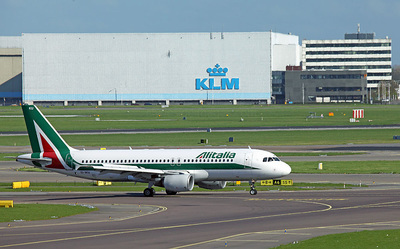 By 2015, the airport was ranked as the fifth busiest in Europe in terms of passengers numbers. 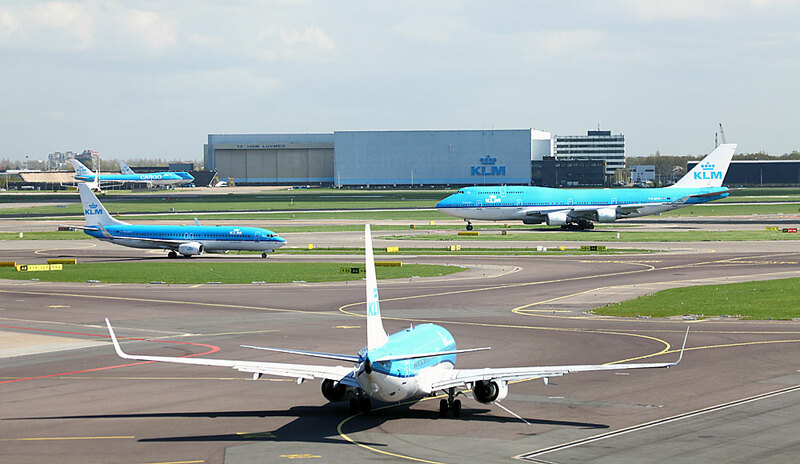 Schiphol has one large main Passenger Terminal, and is served by six runways, one of which is used mainly by executive and light aircraft. 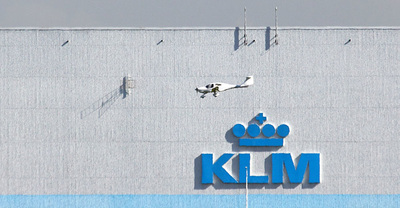 A new general aviation terminal was opened in 2011 on the east side of the airport and is operated as the KLM Jet Center. 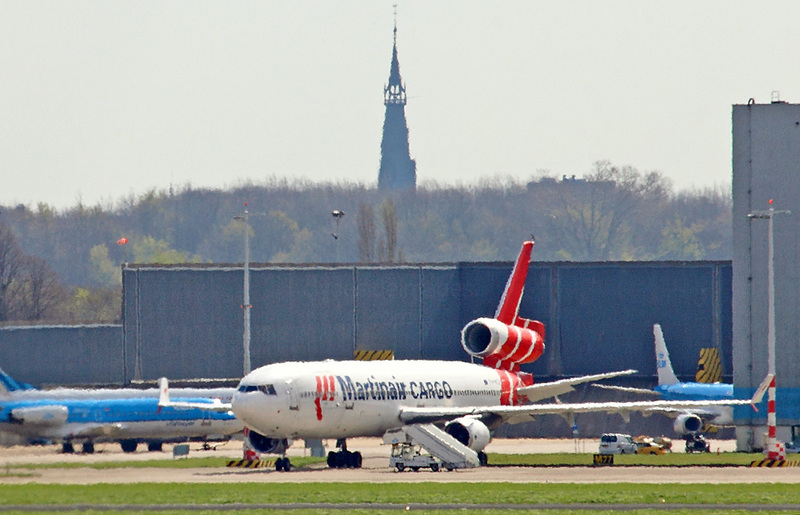 There is also a busy maintenance area and cargo terminal. Number 1: 18R/36L - Polderbaan - west runway. This is the newest having opened in 2003. 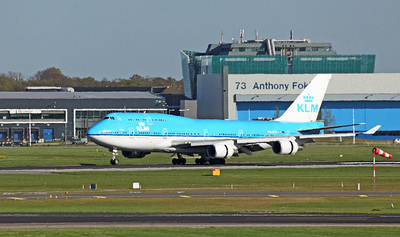 It's remote location was chosen to reduce the noise impact on the local population but with the runway's northern end 7 km (4.3 mi) north of the control tower, it can take aircraft up to 20 minutes to taxi to the terminal. 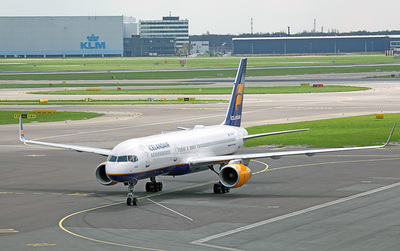 Number 2: 06/24 - Kaagbaan. 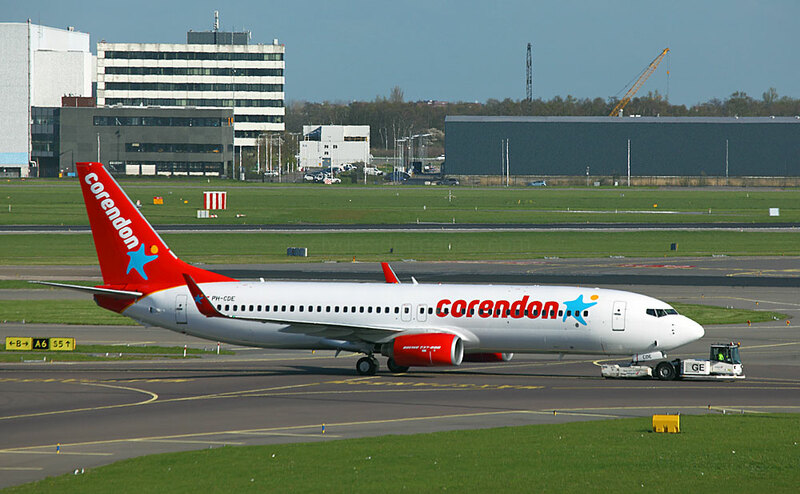 Named after a small lake system nearby. 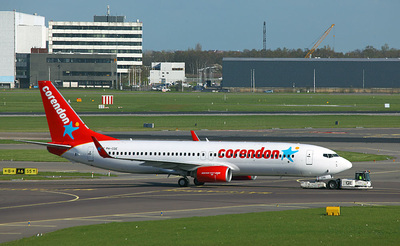 Number 3: 09/27 - Buitenveldertbaan. 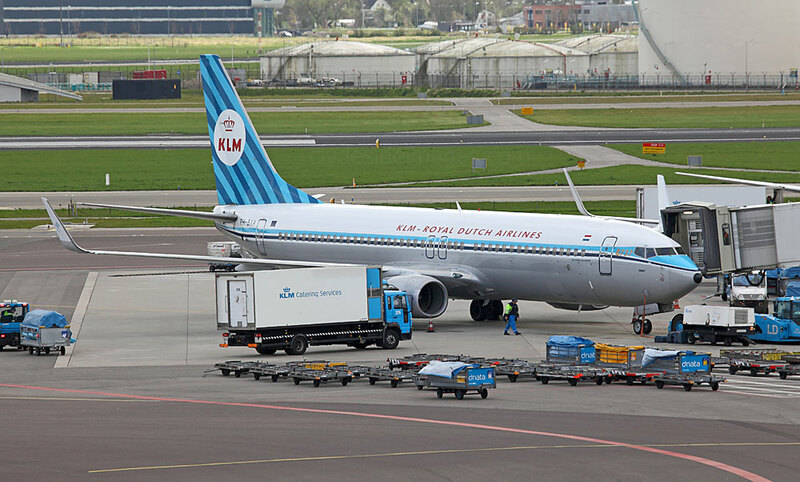 Named after a district of Amsterdam. 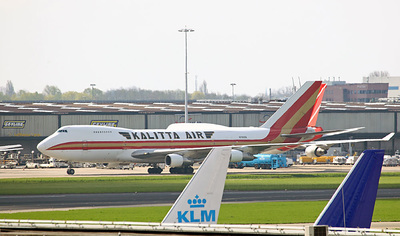 On 4 October 1992, El Al Flight 1862, a Boeing 747 cargo aircraft crashed into the Groeneveen and Klein-Kruitberg flats in the Bijlmermeer district of the city while attempting to make an emergency landing on this runway. 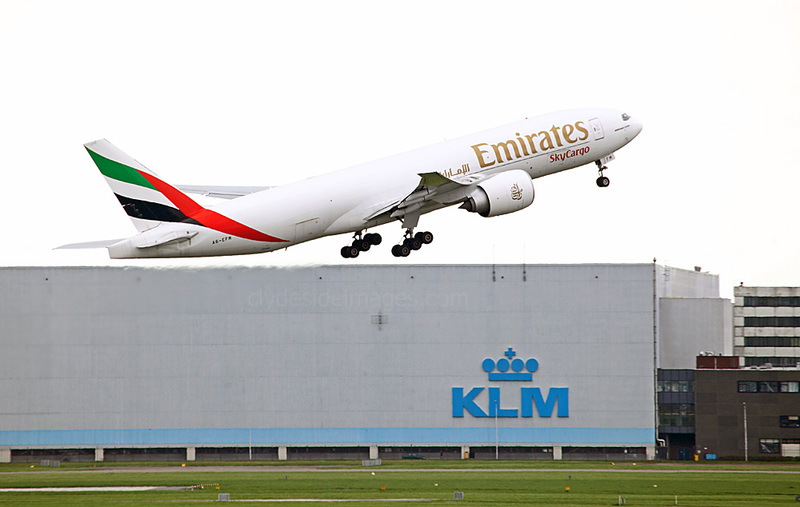 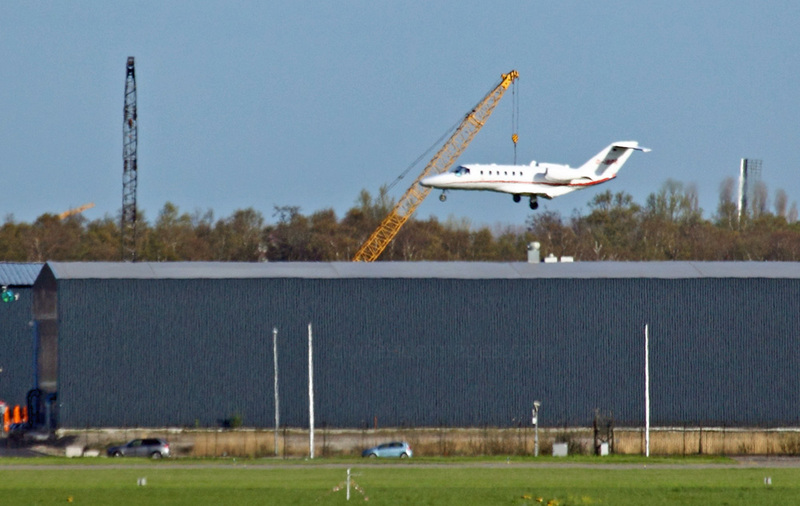 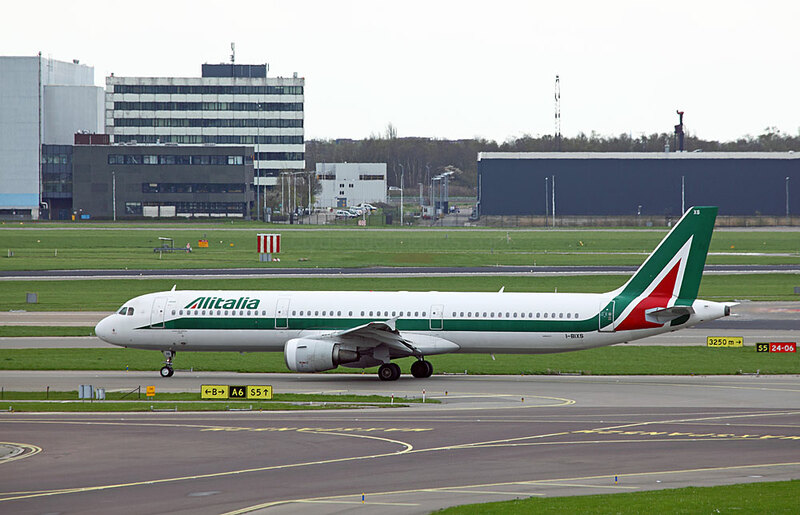 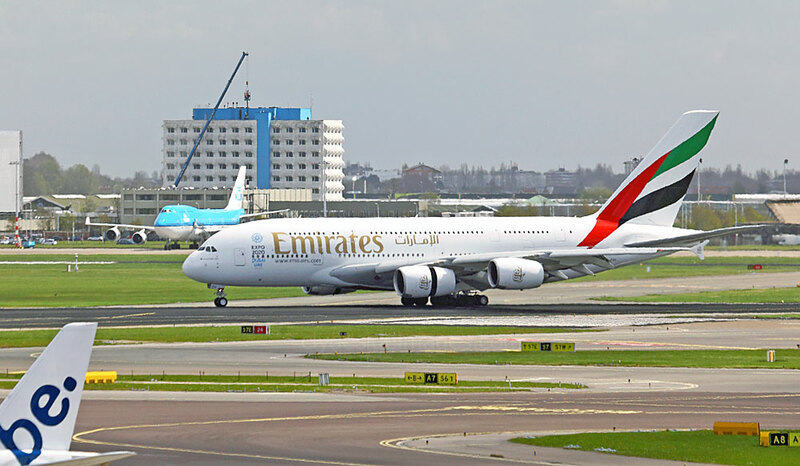 It had taken off from the Zwanenburgbaan runway a short time before, bound for New York's JFK. 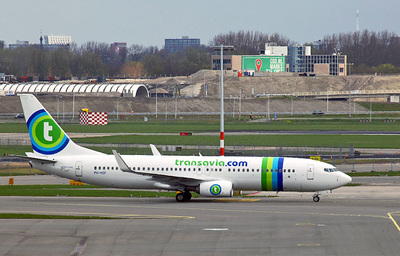 A total of 43 people were officially reported killed and many more were injured making this Holland's worst aviation disaster. 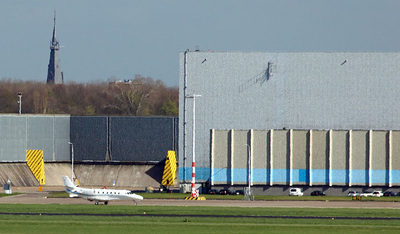 Number 5: 18C/36C - Zwanenburgbaan. 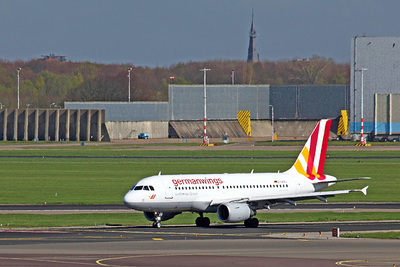 Named after the village of Zwanenburg. 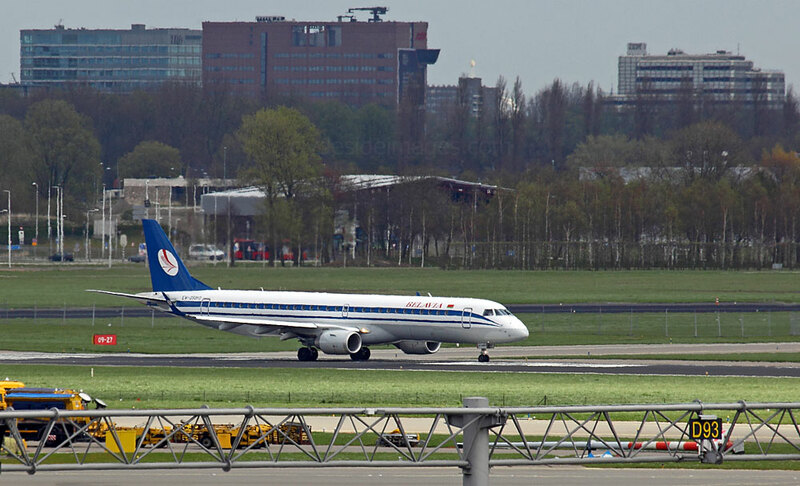 Number 6: 04/22 - Oostbaan The most easterly of Schiphol's runways. 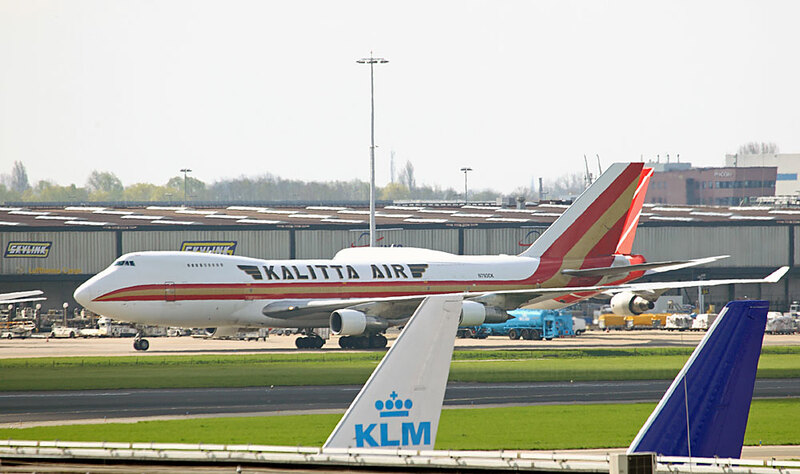 Snapped from my plane as it was taxiing to the terminal on arrival is Schiphol`s Fire Training Area complete with Jumbo Jet-sized mock-up. 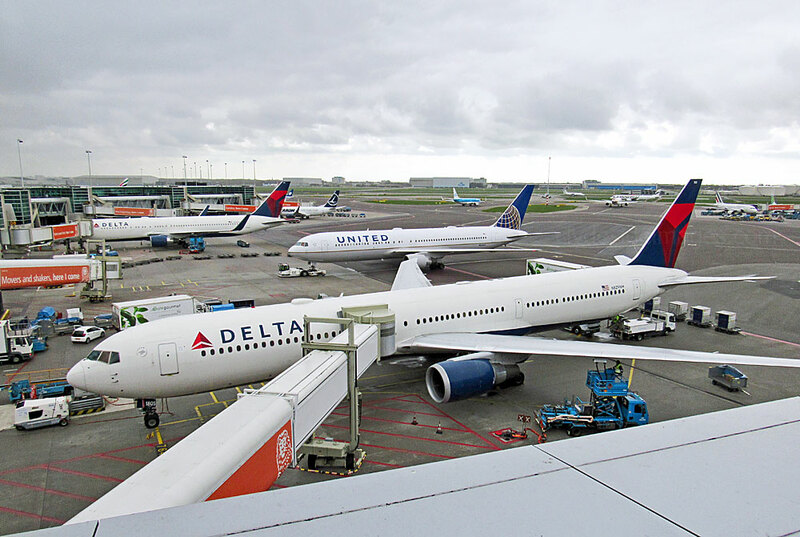 Schiphol's rooftop Panorama Viewing Terrace is well known in aviation enthusiast circles. 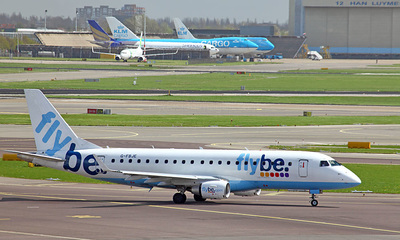 With restaurants, a bar, toilets and open air picnic tables the amenities make for easy aircraft viewing, Although anyone can enter free of charge from landside, connecting passengers would have to first leave the terminal`s secure area via passport control and baggage reclaim to take advantage of the facility. 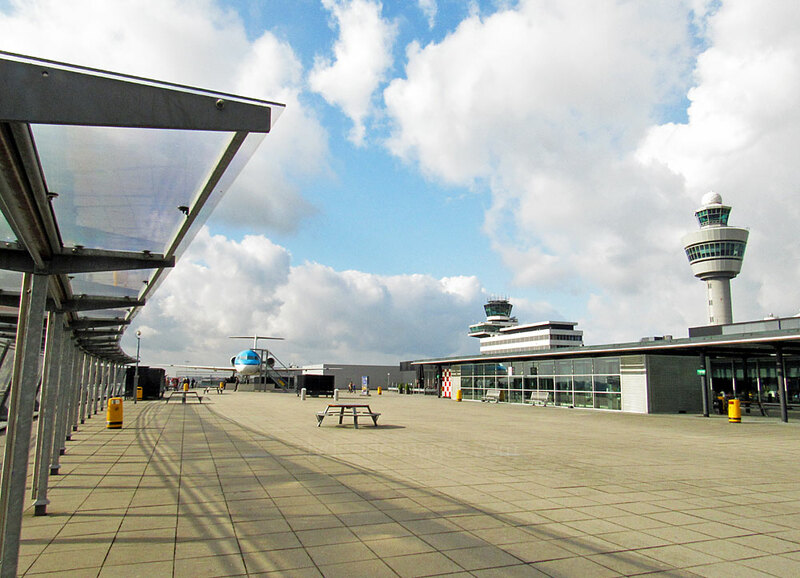 ​The viewing area used to be much larger before construction work drastically reduced its size. 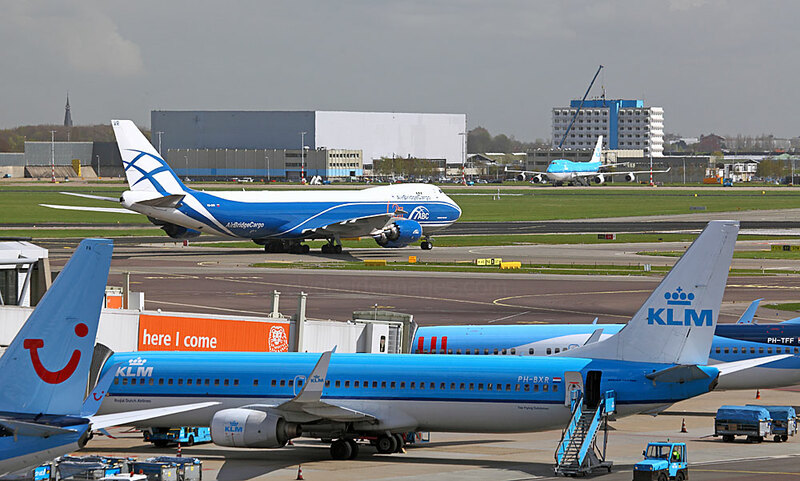 The terrace is still a terrific vantage point though and overlooks stands, aprons and taxiways as well as providing partial views of several distant runways. 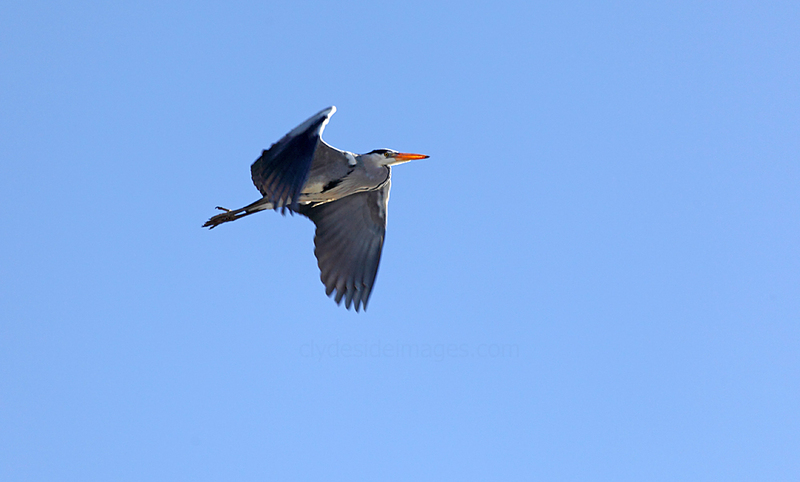 The majority of inbound or outbound traffic should appear at some stage although smaller commuter planes, biz-jets and biz-props may remain, if not hidden from view, well out of camera range.​ It`s not just planes that fly over either - this Heron was one of several that made a low pass! 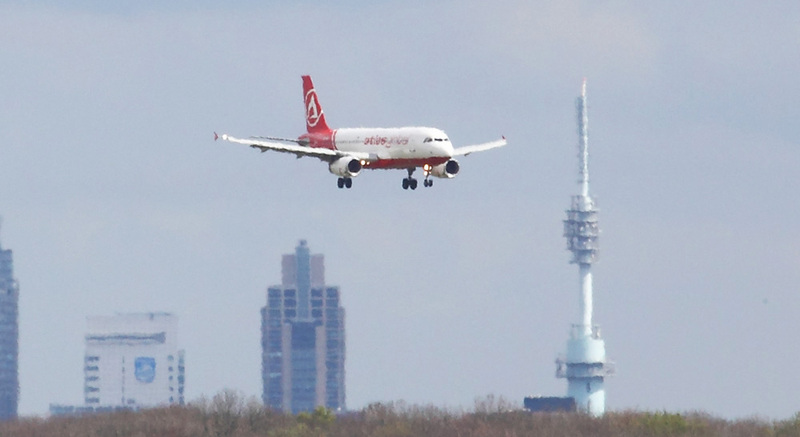 The perimeter fence at either end of the terrace is suitably low and doesn't hinder photography but I discovered that if it's a bright morning many planes have to be snapped with the sun at their back. An afternoon visit, or an overcast day may be preferable, however, the volume and variety of aircraft is superb and more than makes up for any disadvantages photographically. 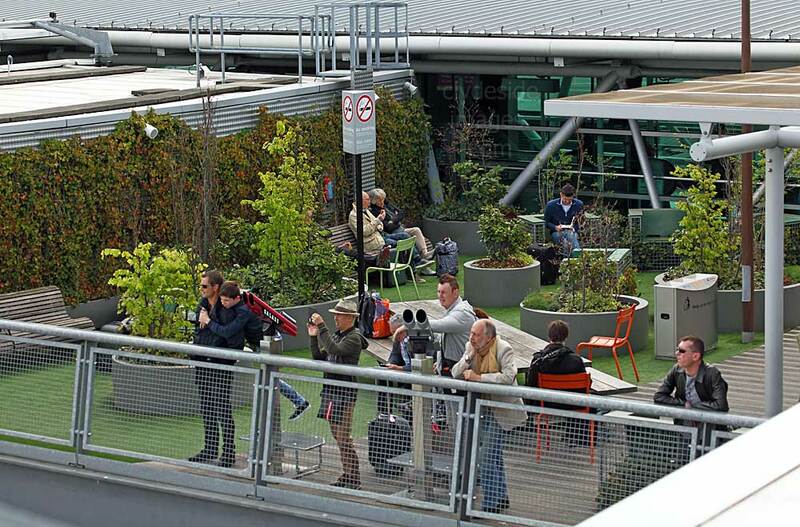 The small open-air seating area on the right is accessed from one of the piers. 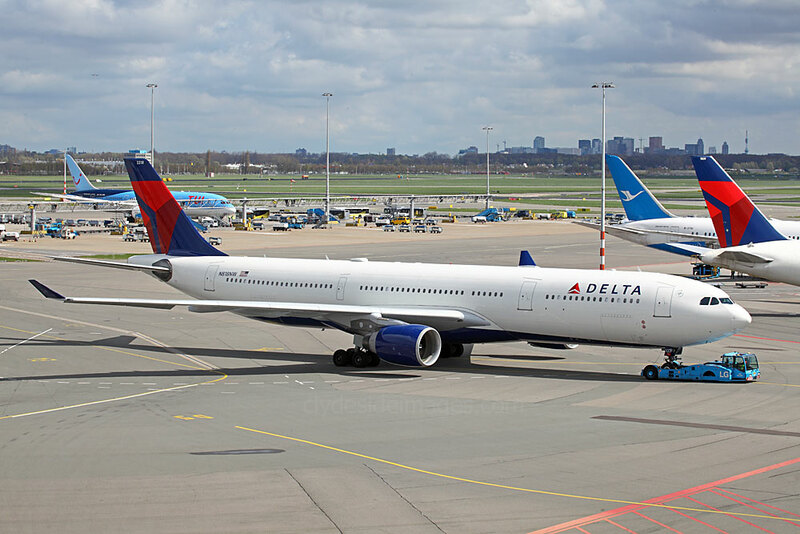 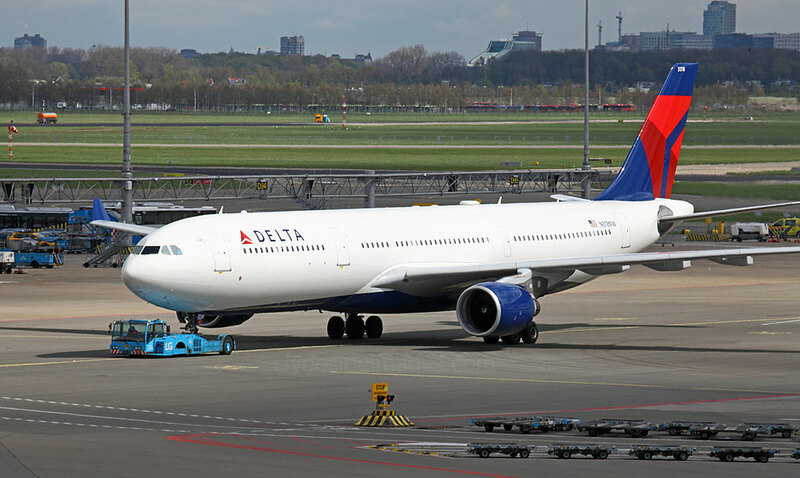 There's a large US presence with Delta Airlines dominating, plus a very good chance of seeing one of the larger cargo planes from across 'The Pond'. 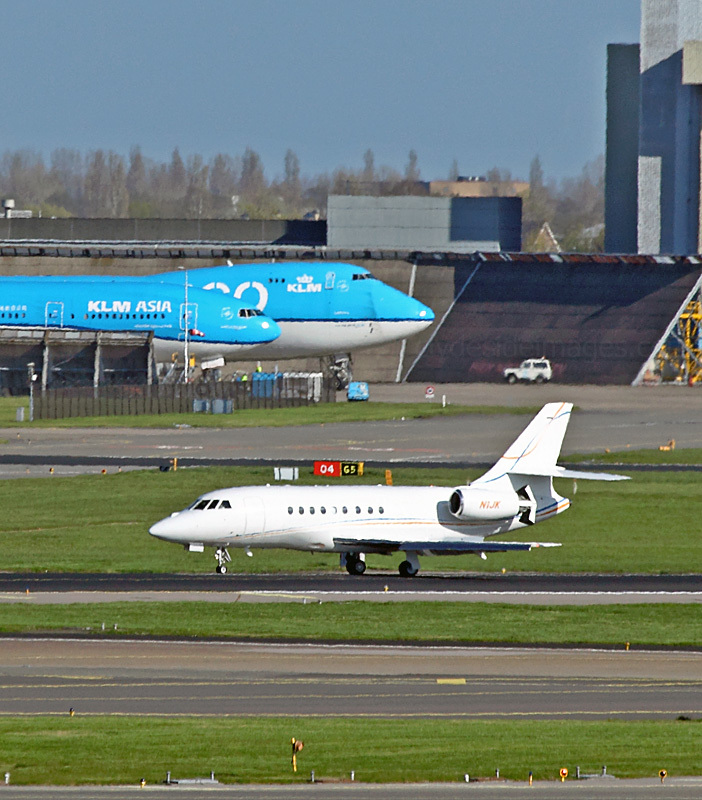 Middle Eastern and Asian traffic, some never or rarely seen in the UK, also appear often. 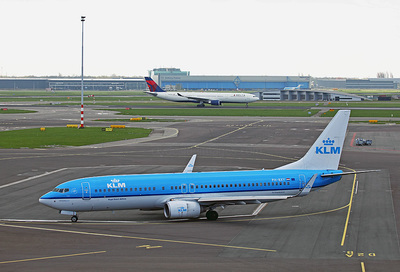 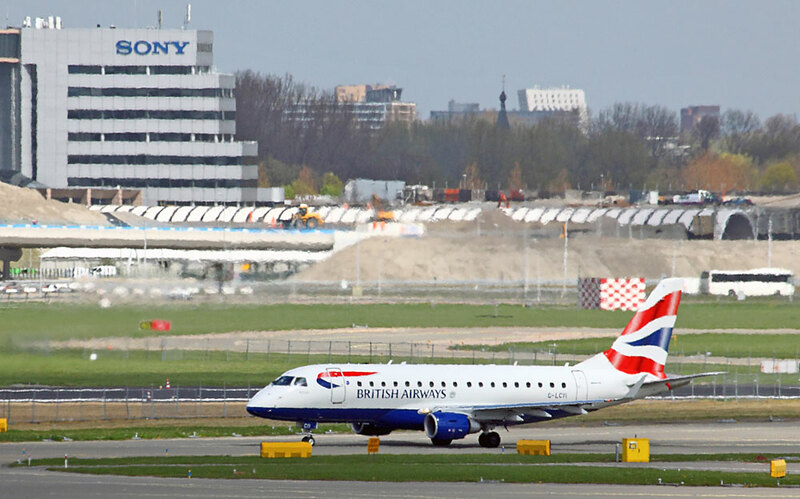 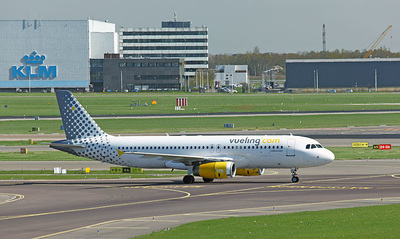 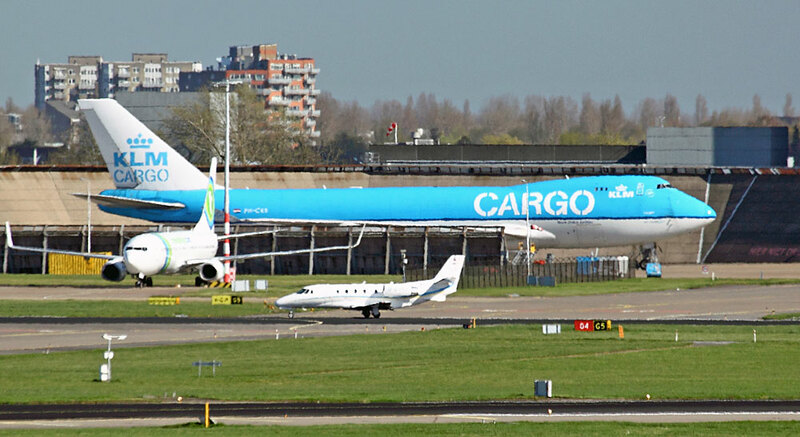 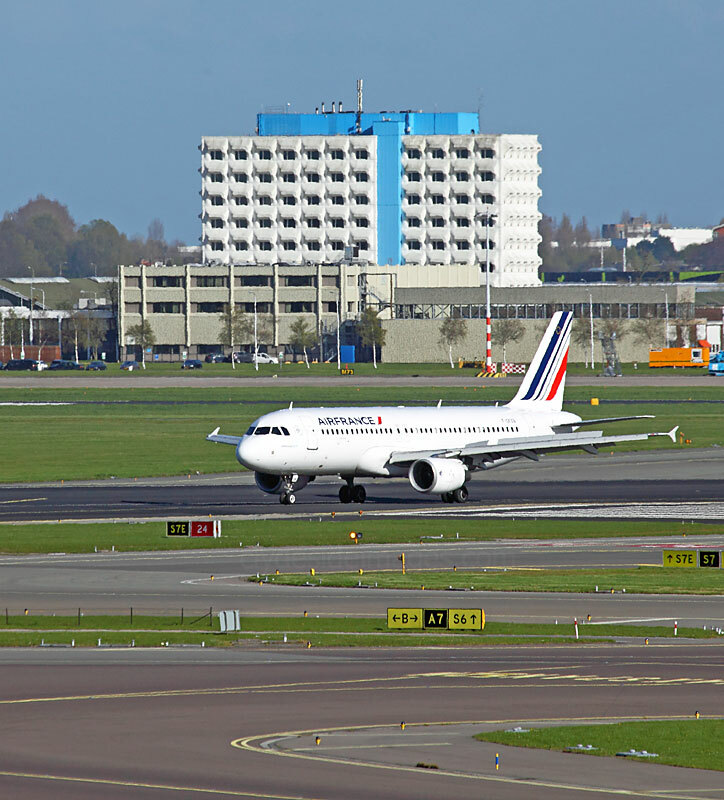 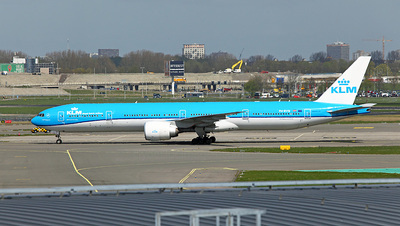 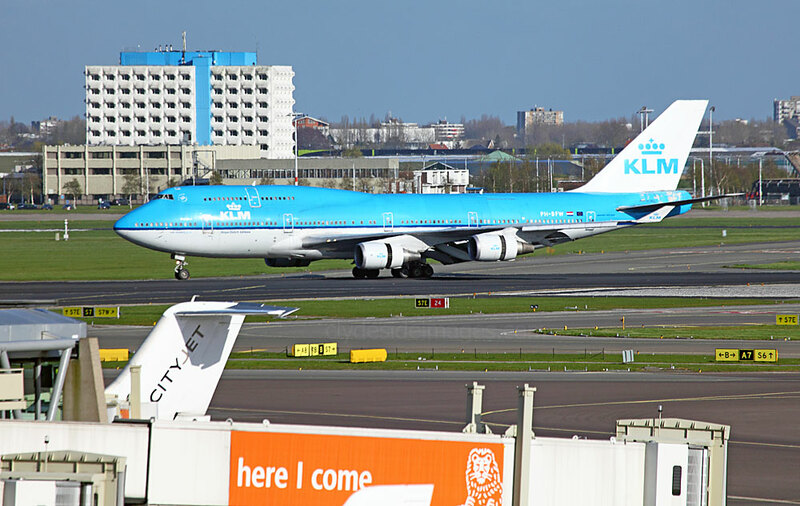 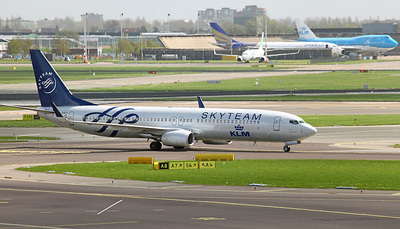 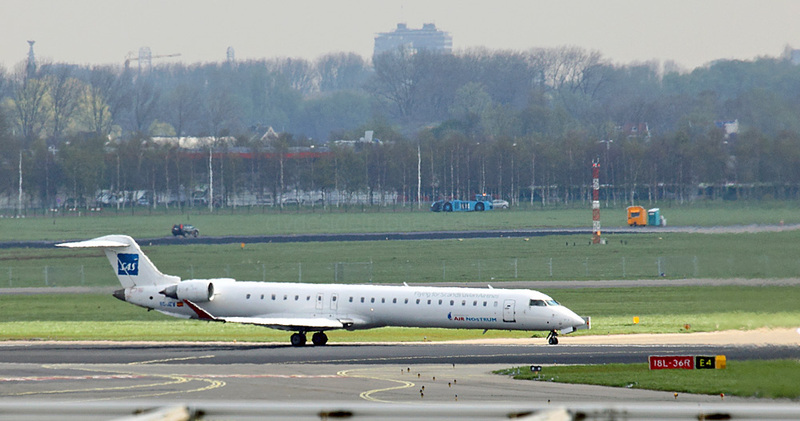 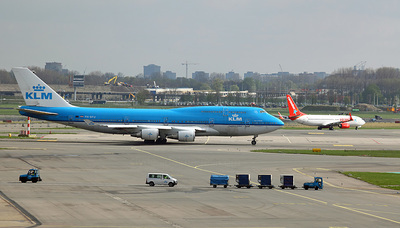 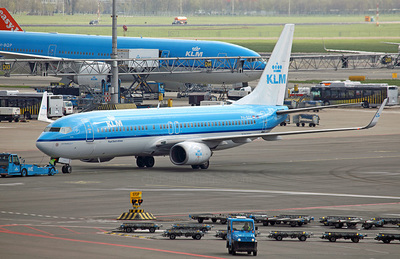 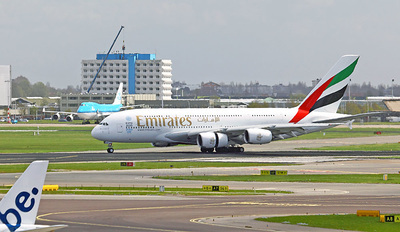 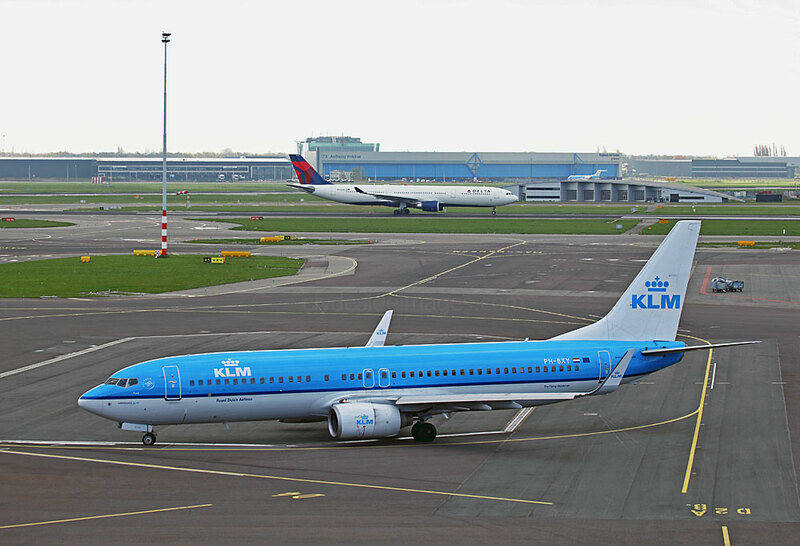 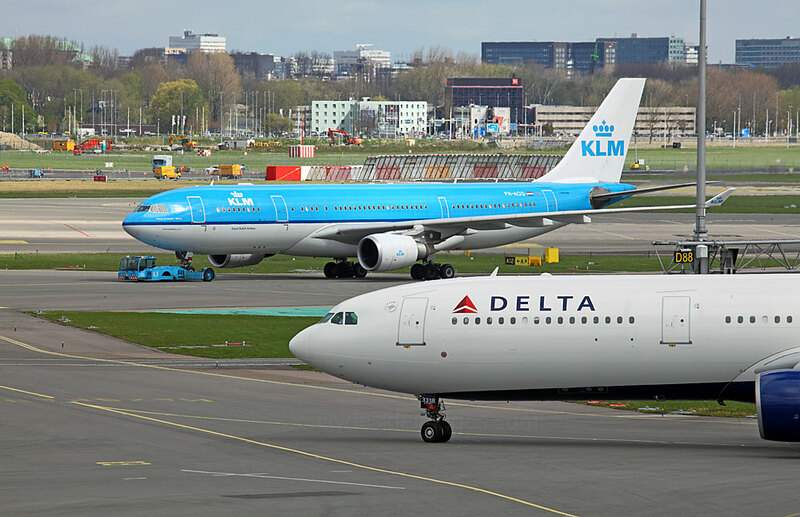 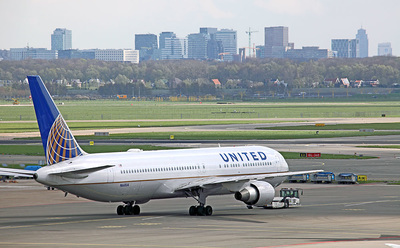 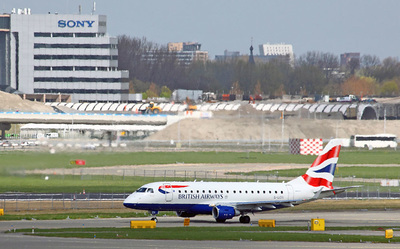 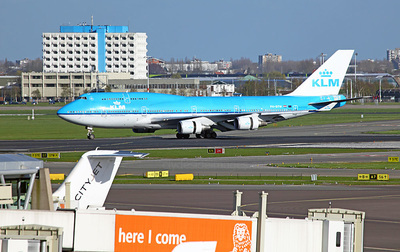 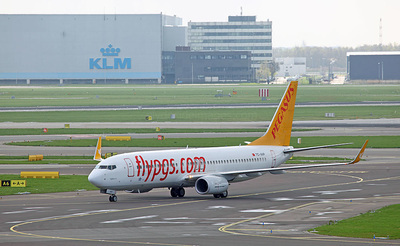 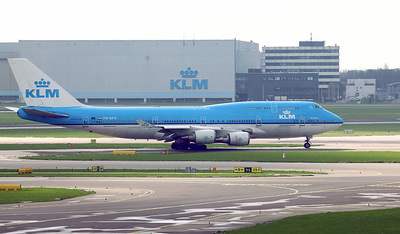 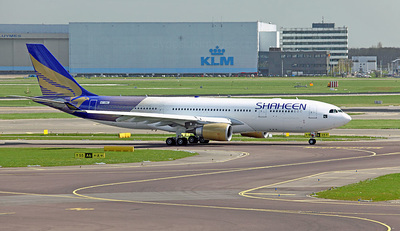 Schiphol has a number of well documented spotting locations, both official and unofficial, around the airport perimeter, but a car (or bike) would be needed to reach them. I never had time to check any of them out personally, but the best known is adjacent to the McDonald's restaurant at the north side of the airport overlooking the newest Polderbaan runway. 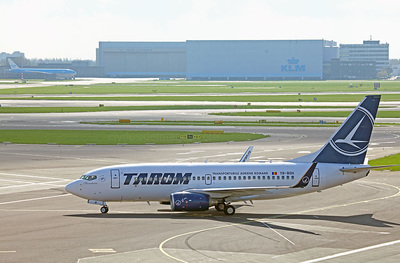 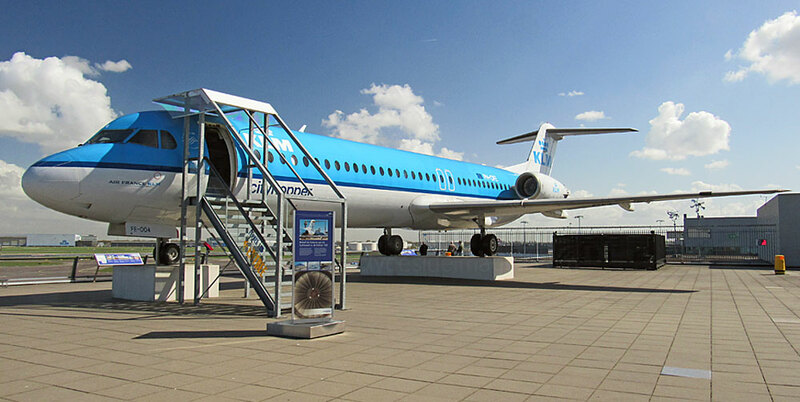 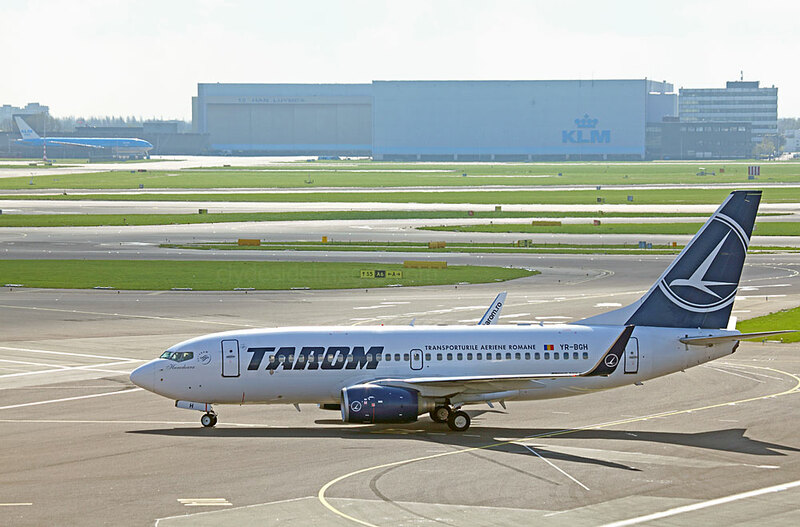 It's no surprise that the Dutch national carrier's fleet form the bulk of aircraft movements - there's even a preserved KLM Cityhopper Fokker 100 displayed on the terrace and a DC-9 nose section, engine and landing gear on display in Schiphol`s shopping plaza! 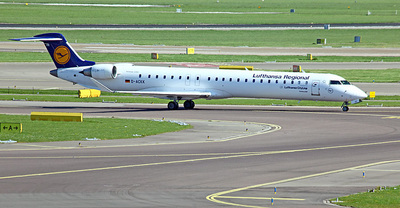 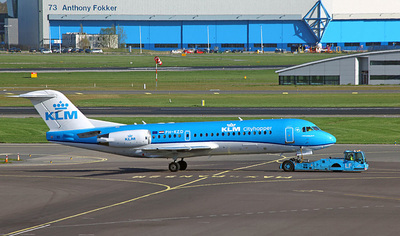 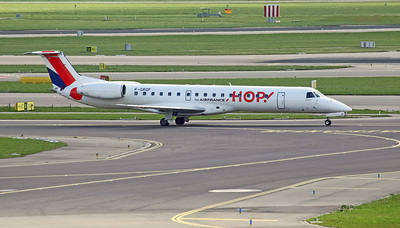 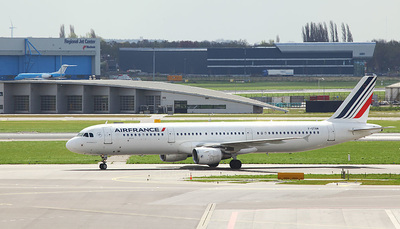 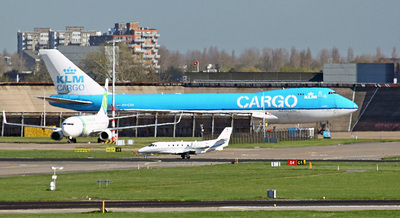 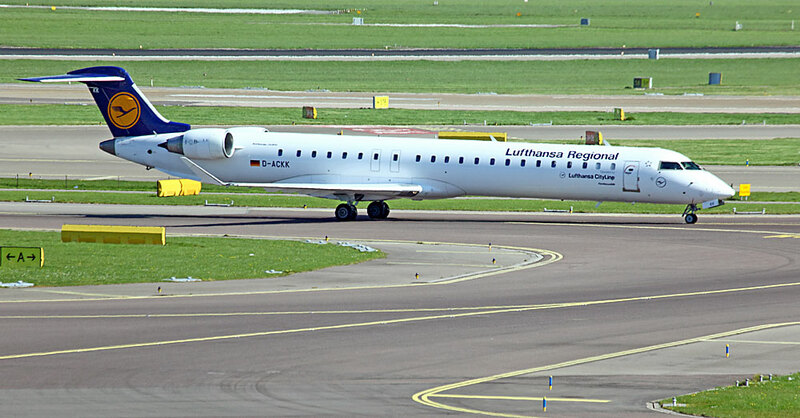 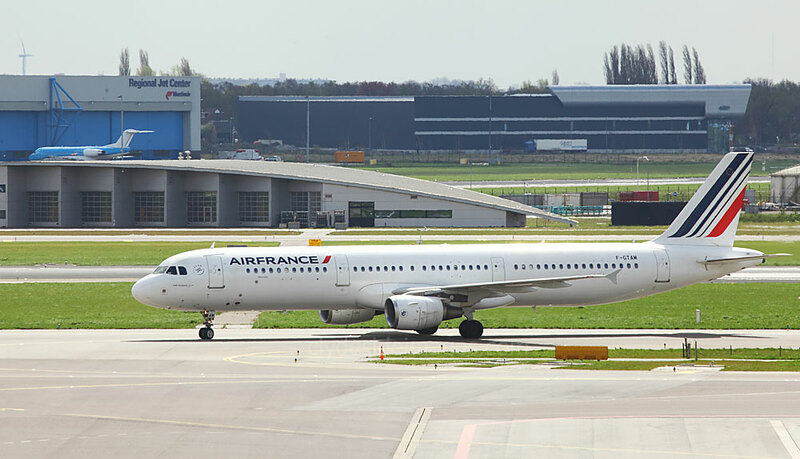 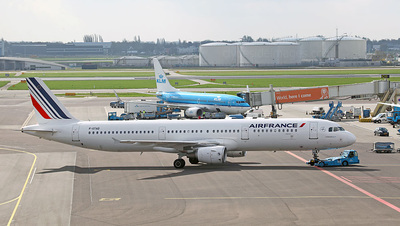 The retired KLM-Cityhopper Fokker 100 PH-OFE was lifted onto the Panorama Terrace on 31 May 2011. 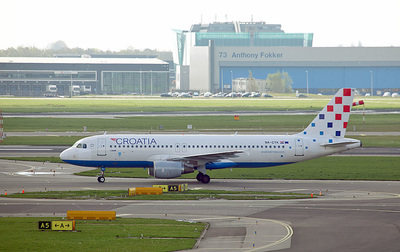 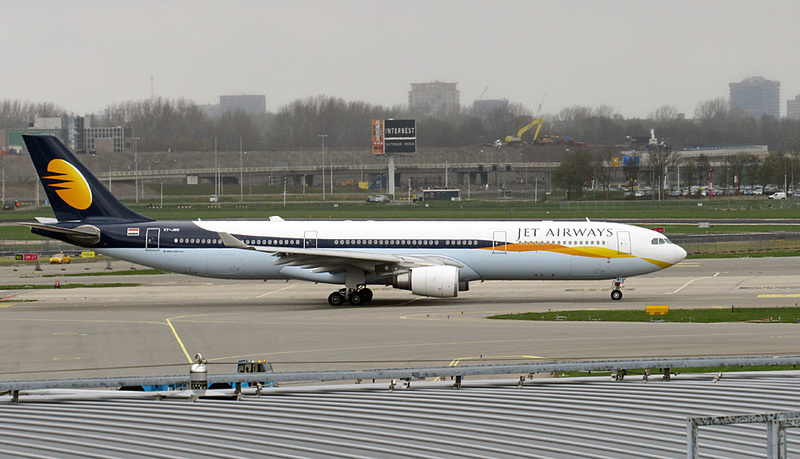 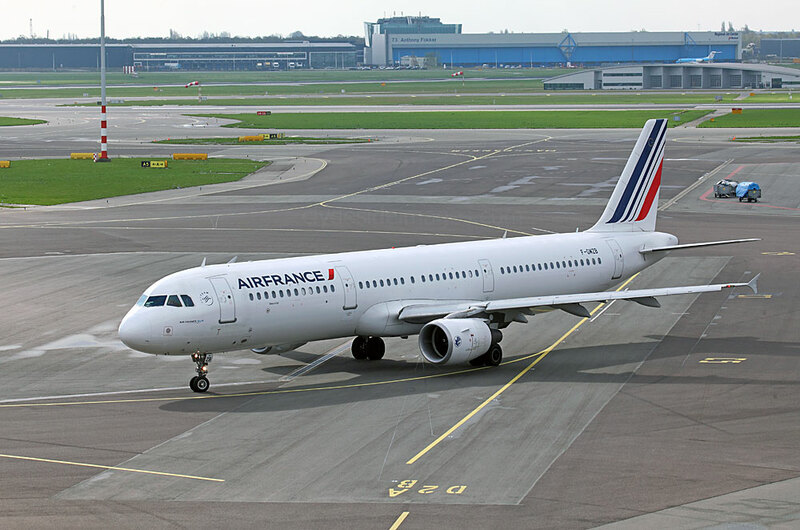 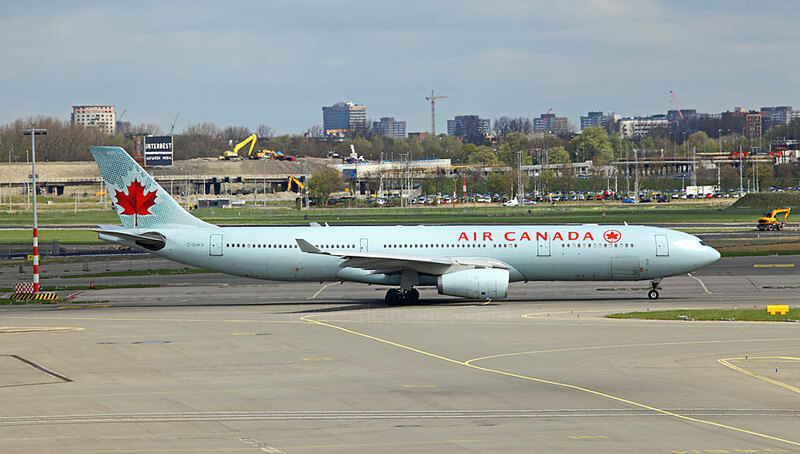 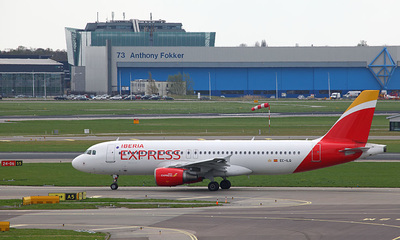 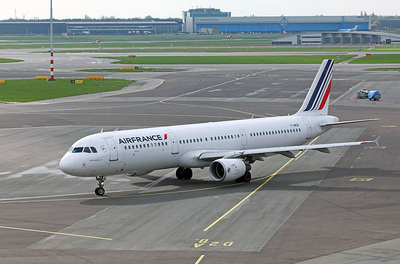 It made its maiden flight on 2 March 1989 and its last on 19 February 2011. 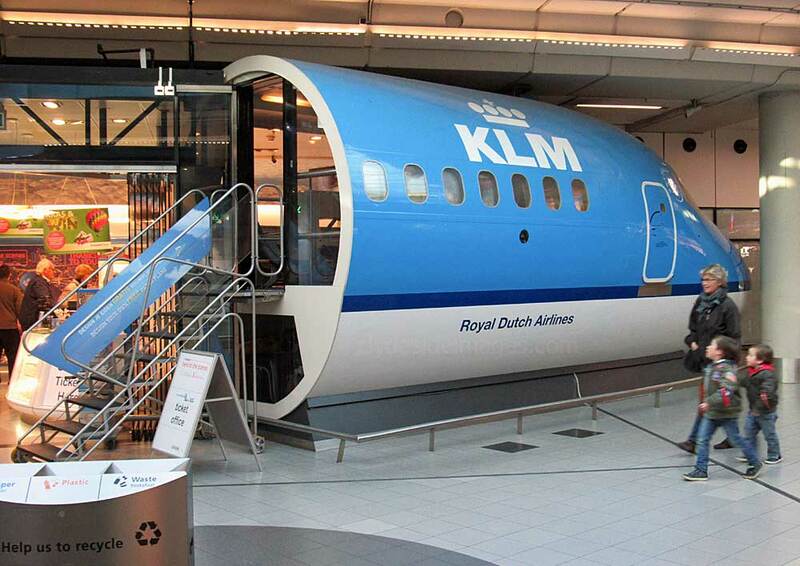 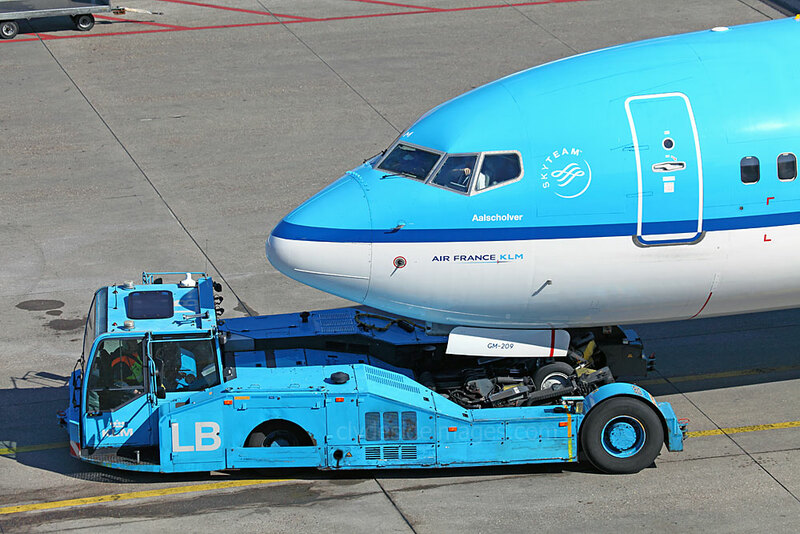 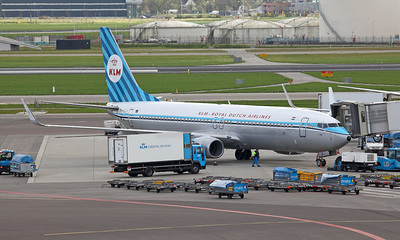 KLM donated the aircraft to Amsterdam Airport where visitors can climb aboard and check out its interior. 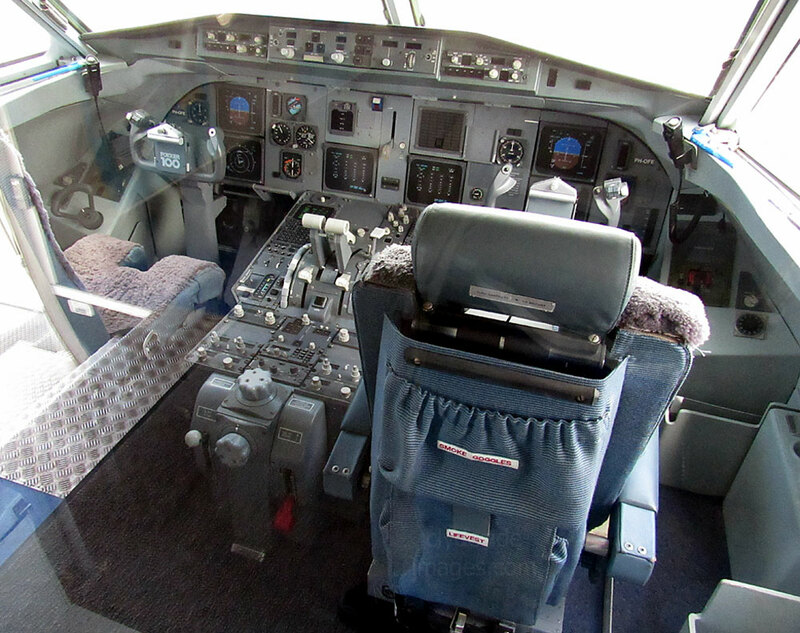 The flight deck is on view but behind a glass screen. Amsterdam airport's Douglas DC-9 airliner first flew in 1968 and spent its career in the USA, serving with Delta Airlines, Ozark Airlines and Trans World Airlines amongst others. 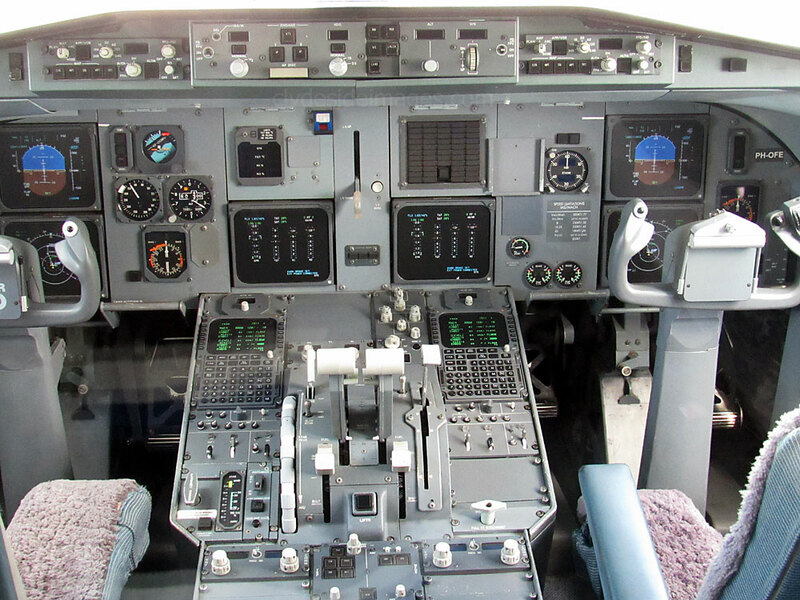 The aircraft had accumulated 82,101 flying hours prior to being placed in storage with Evergreen Aircraft Sales & Leasing. 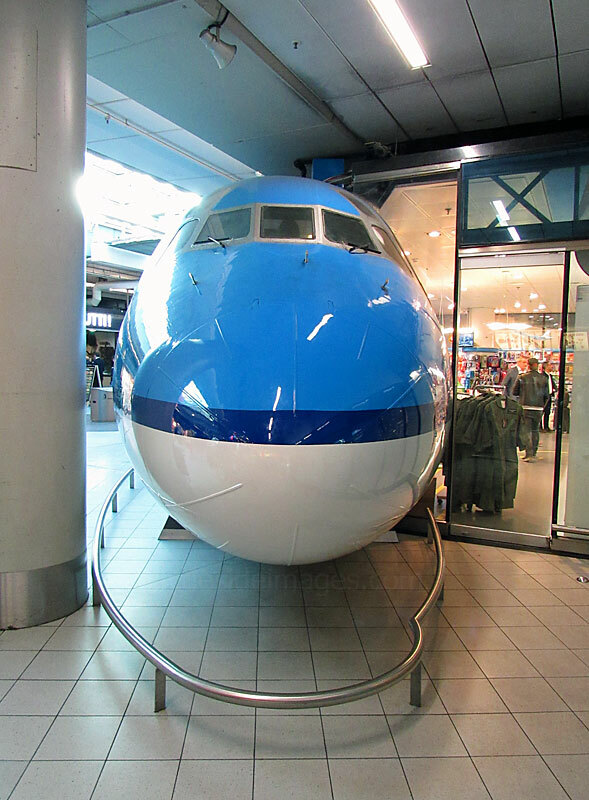 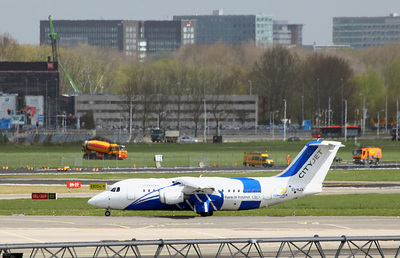 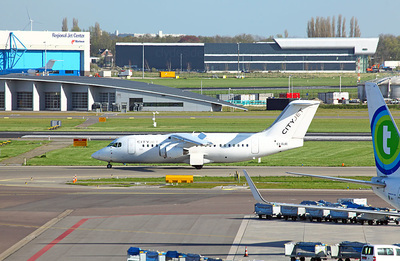 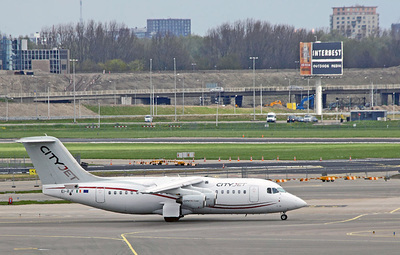 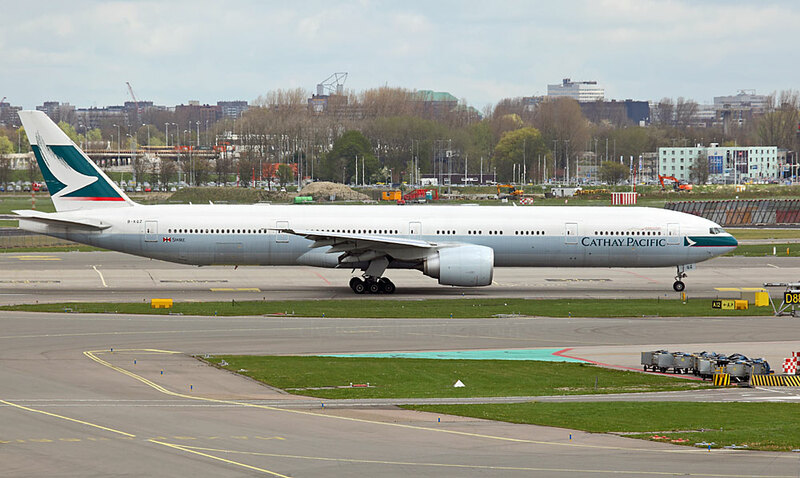 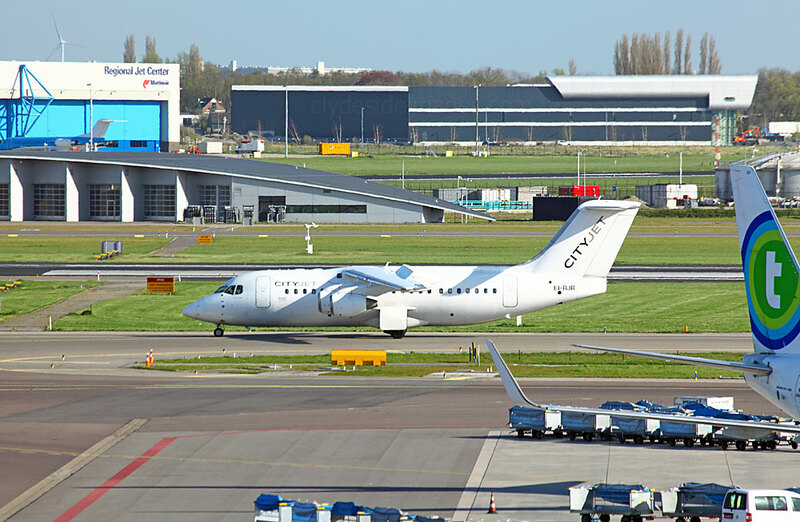 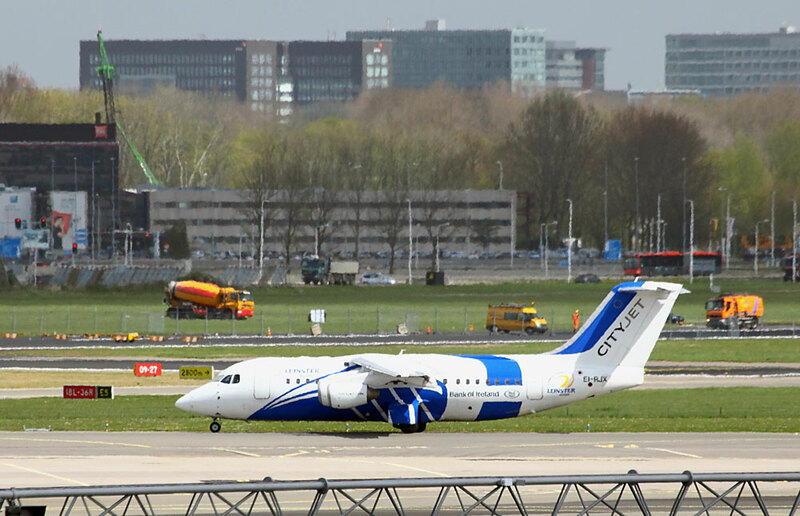 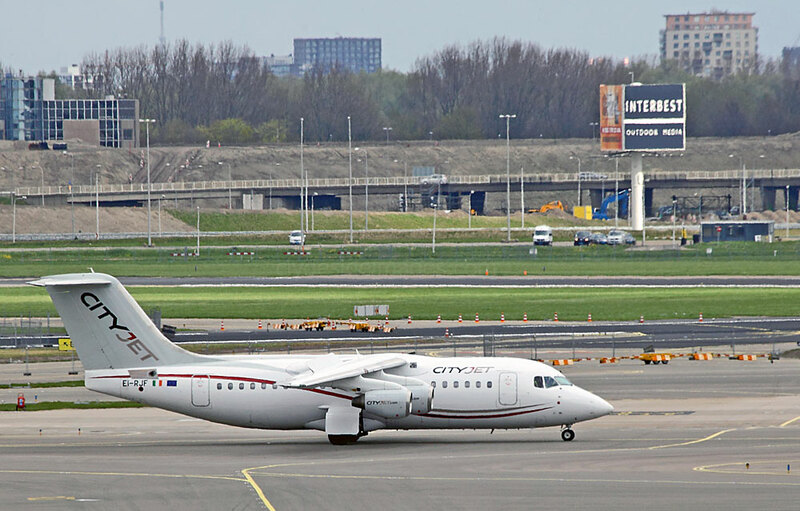 Before it was put on display inside the terminal, appropriately outside an aviation souvenir shop, the aircraft was given a shiny new paint job and named 'City of Schiphol'. 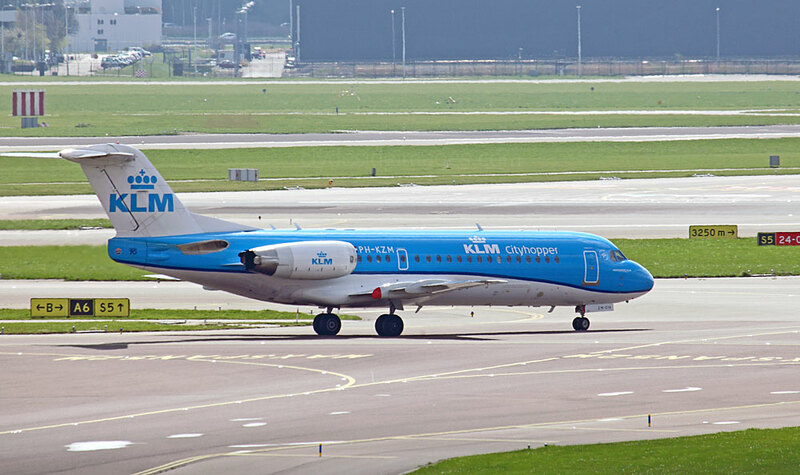 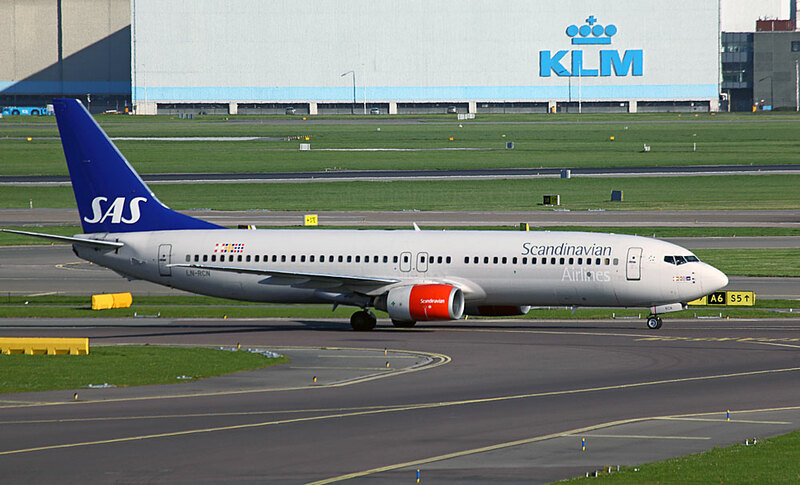 It is now the world's only DC-9 sporting KLM's new livery. 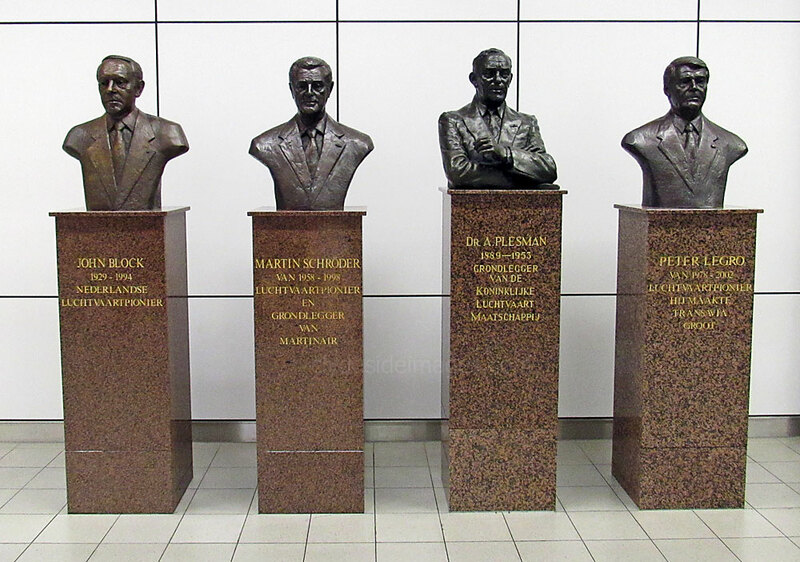 These bust the Schiphol Plaza commemorate four Dutch aviation pioneers. 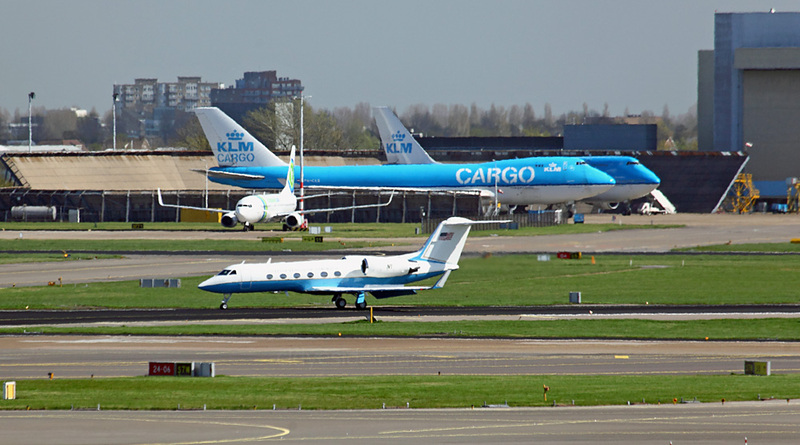 From left to right are Johan Nicolaas Block (1929-1994) an entrepreneur who, together with Johan Martin Schröder (1958-1998) founded Martin's Air Charter (MAC), which later became Martinair. 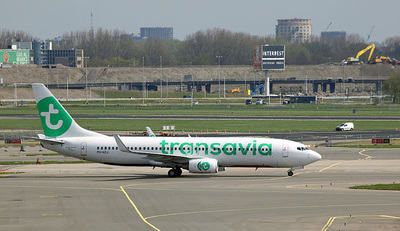 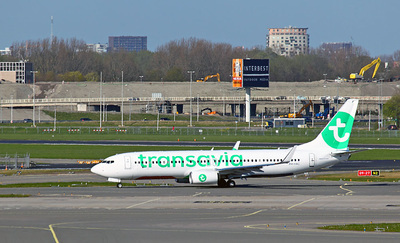 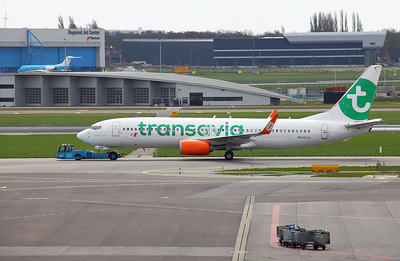 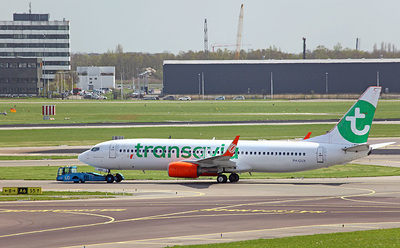 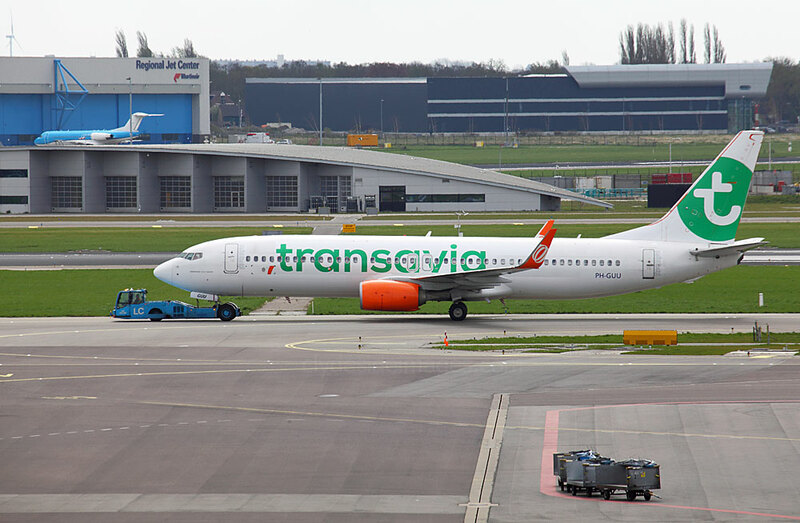 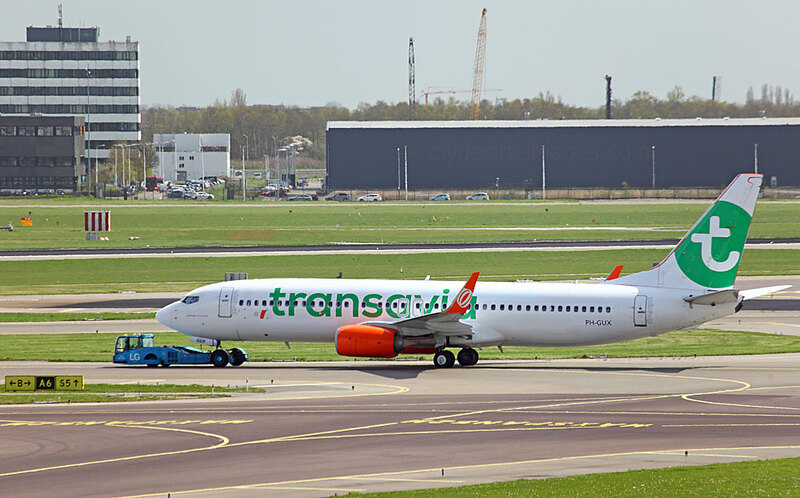 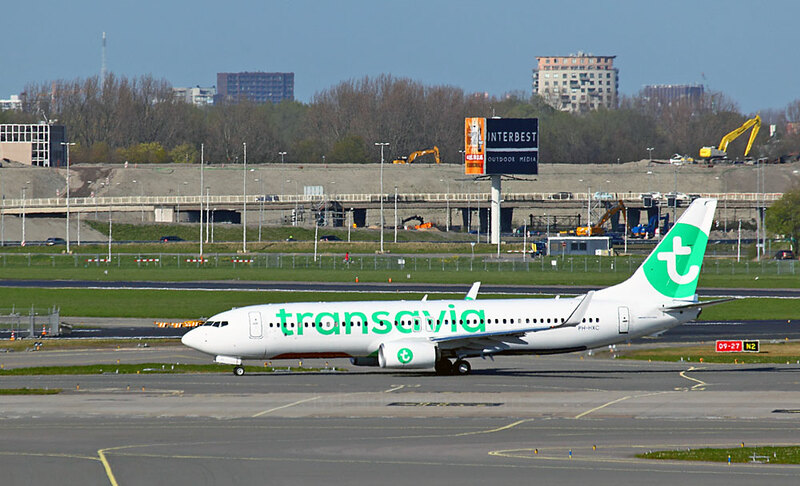 They were also instrumental in creating Transavia and Air Holland. Dr. A. Plesman (1889-1953) was the founder of KLM Royal Dutch Airlines and Peter Legro (B.1978-) is an ex-Starfighter pilot and ex-CEO of Transavia Airlines. 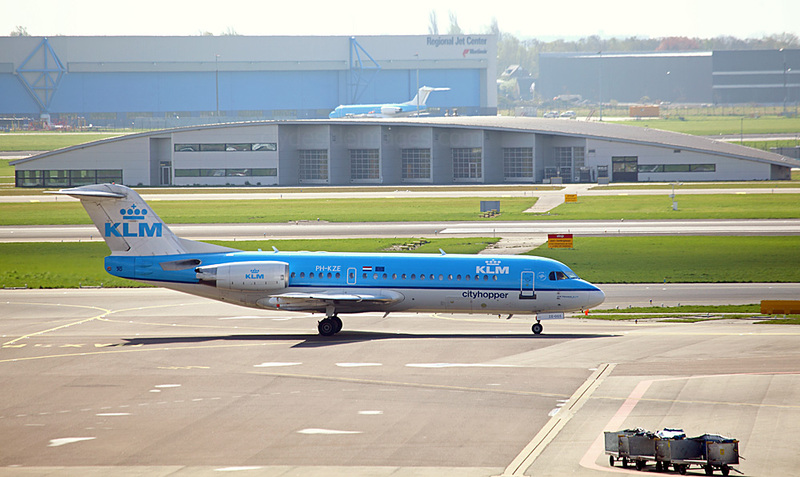 Cityhopper Fokker F70 PH-KZU and Embraer ERJ-190STD PH-EZC. 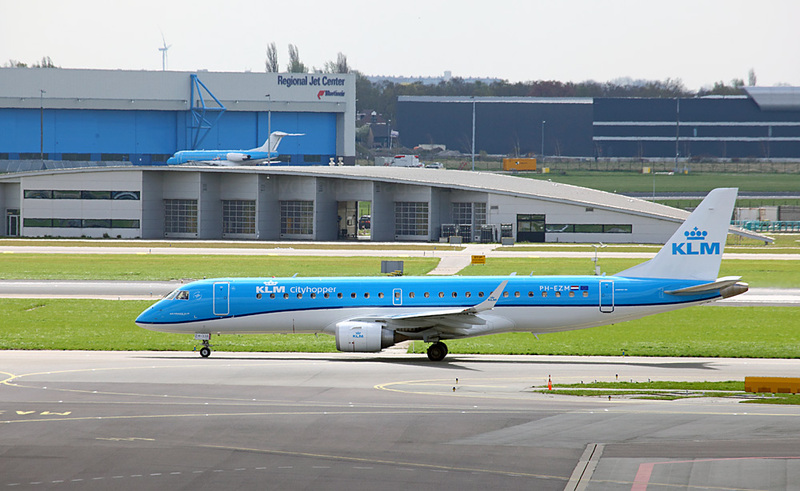 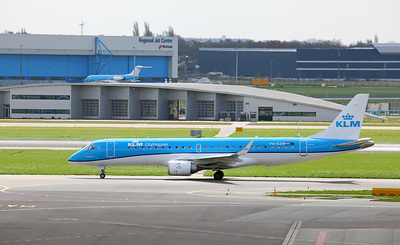 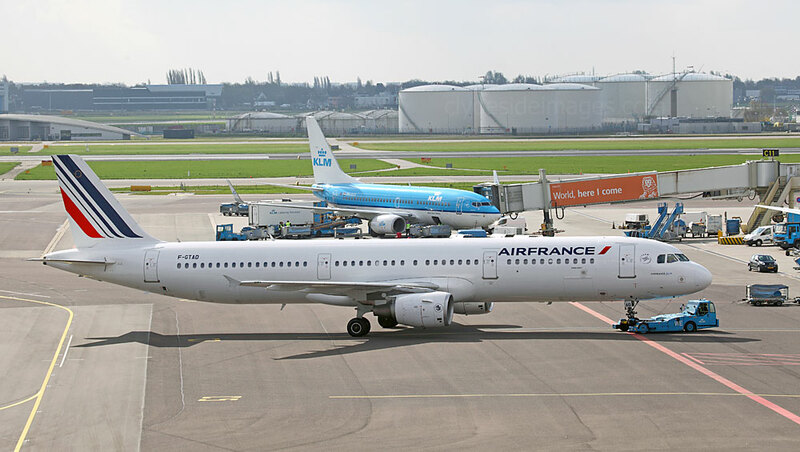 The overhaul of the KLM Cityhopper fleet began with the arrival of its first Embraer 175+ on 21 March, with another 16 on order. 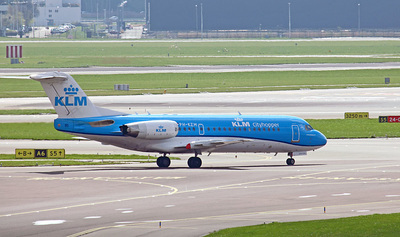 These feature a new wing tip and other technical enhancements designed to improve aerodynamic performance. 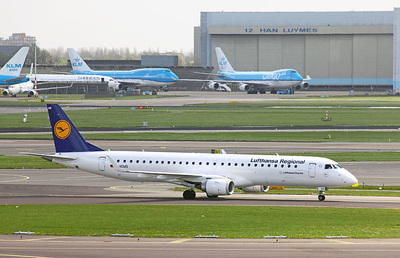 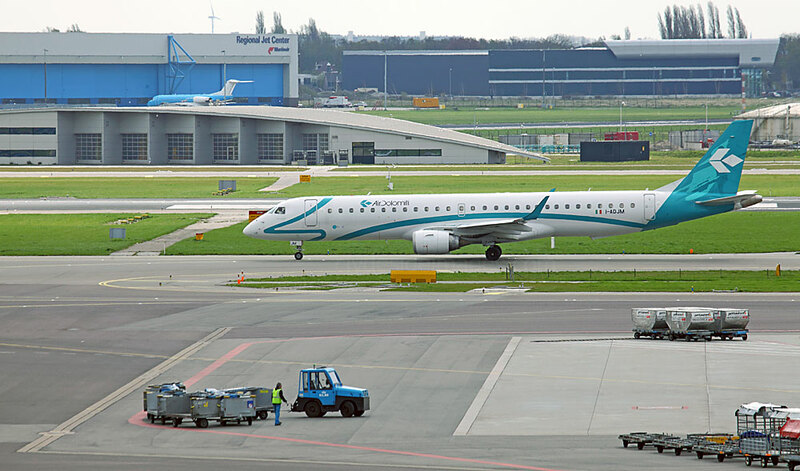 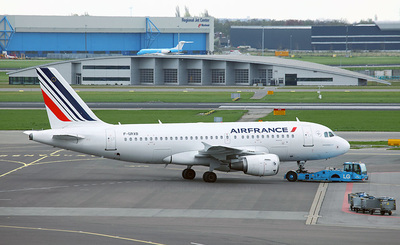 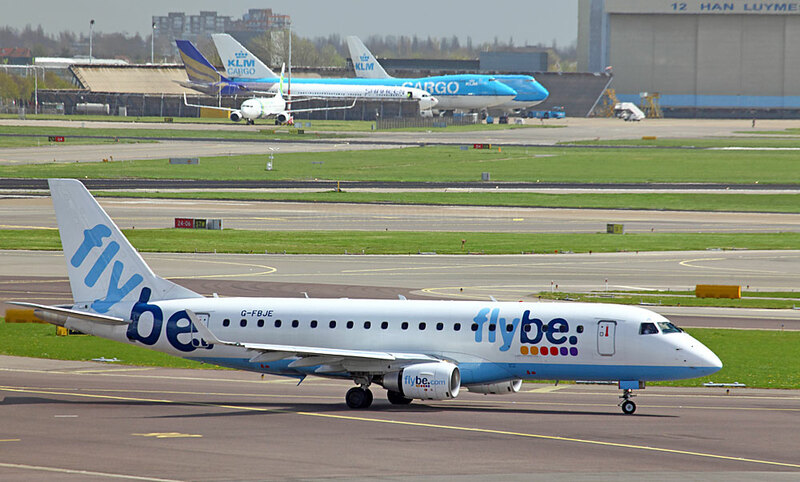 The new jets will join 30 of the larger E190s, shown above, making KLM Cityhopper the largest Embraer operator in Europe. 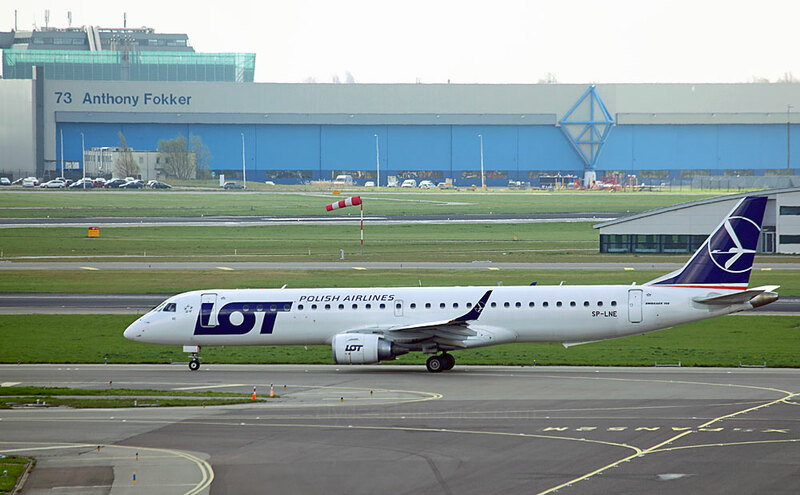 The smaller Foller 70s will be phased out with fleet renewal due to be completed sometime in 2018. 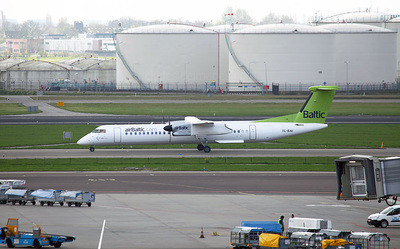 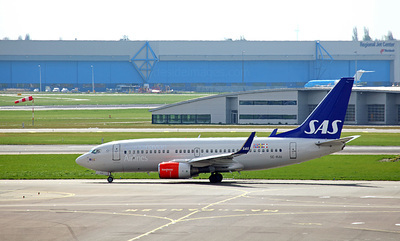 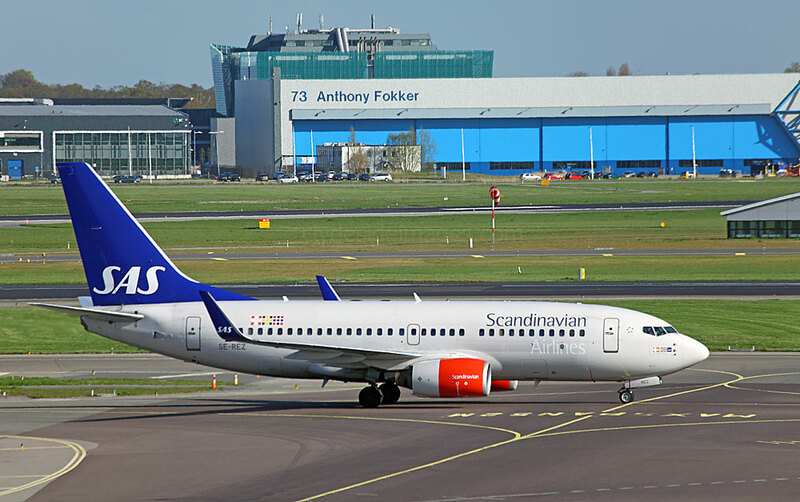 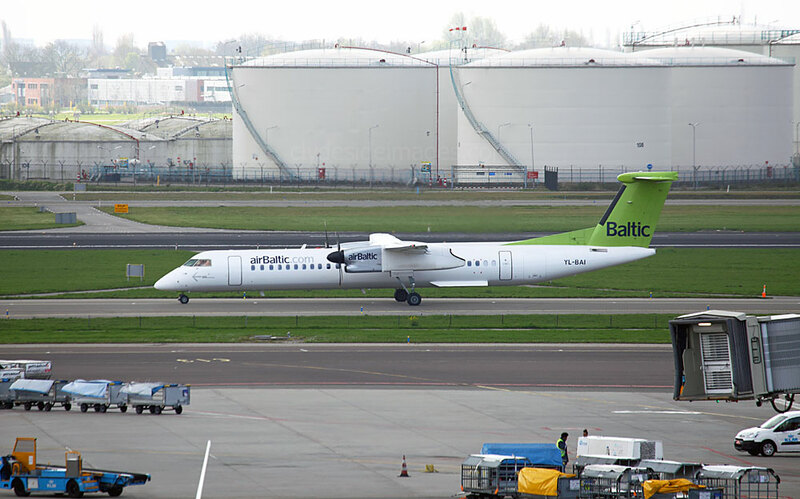 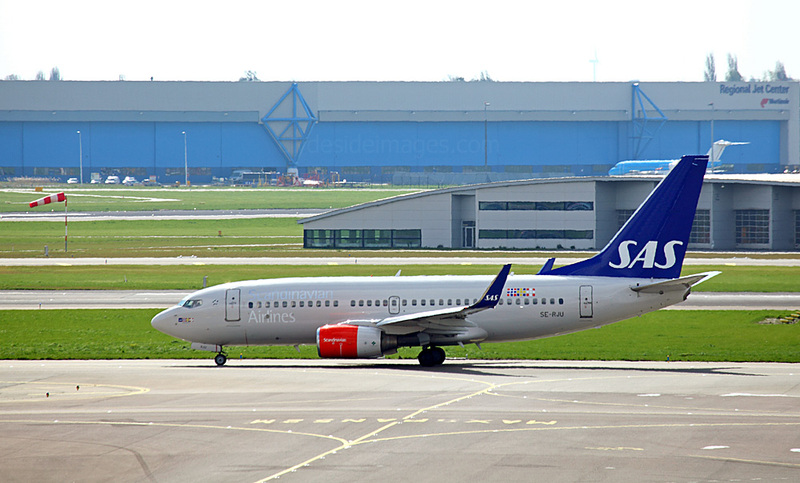 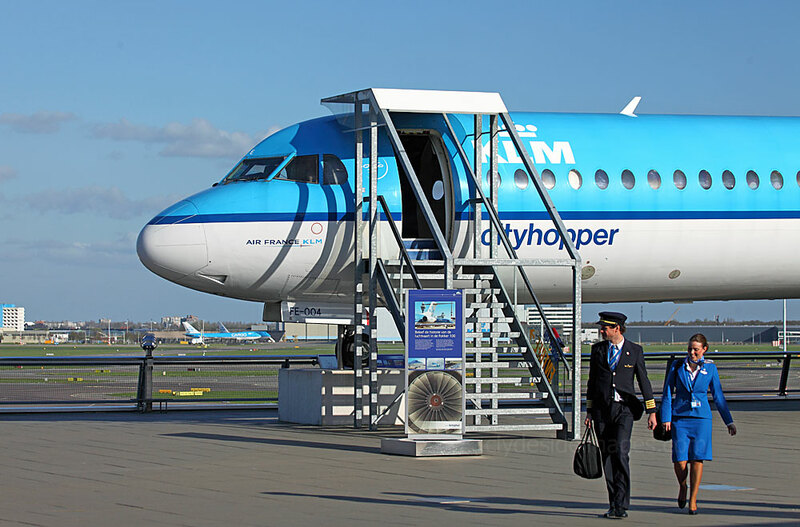 The inaugural commercial Cityhopper flight departed on March 27, flying from Schiphol to Stavanger in Norway. 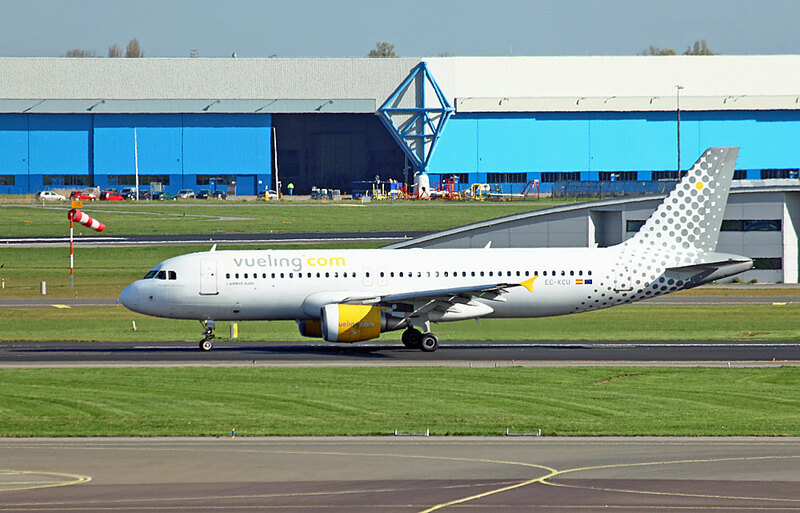 Subsequent destinations will initially include Brussels, Alesund, Turin and Manchester but ultimately the E175+ will fly to all the current European Cityhopper destinations (including Glasgow). 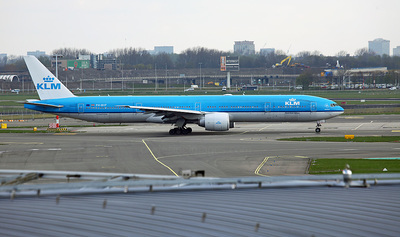 KLM Asia Boeing 777-306(ER) PH-BVC. 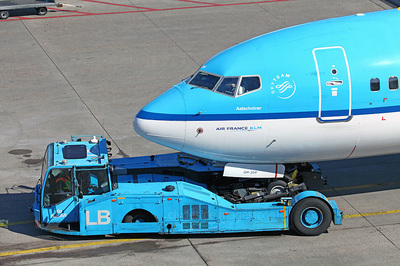 KLM Asia is a wholly KLM-owned subsidiary registered in Taiwan. 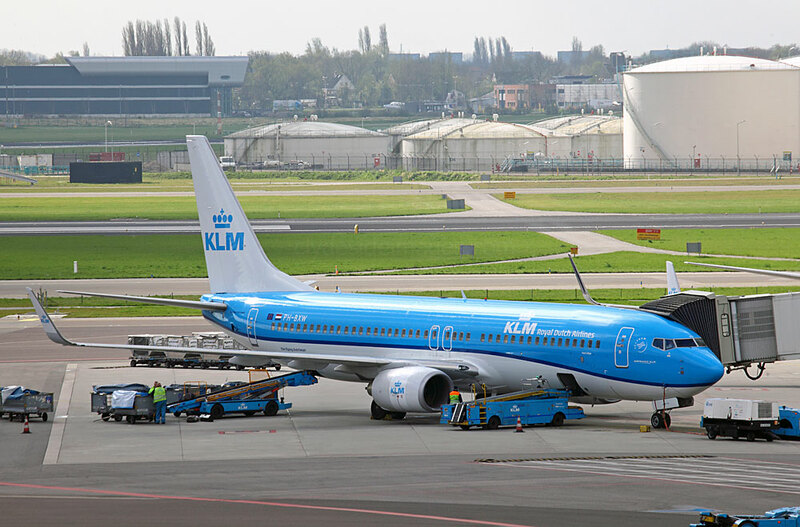 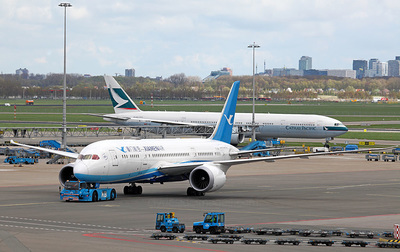 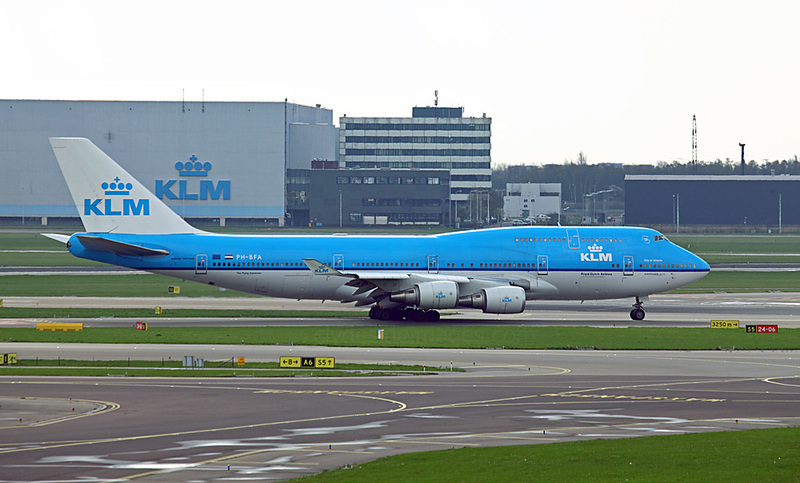 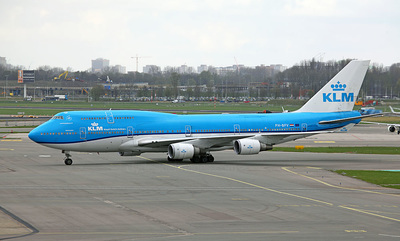 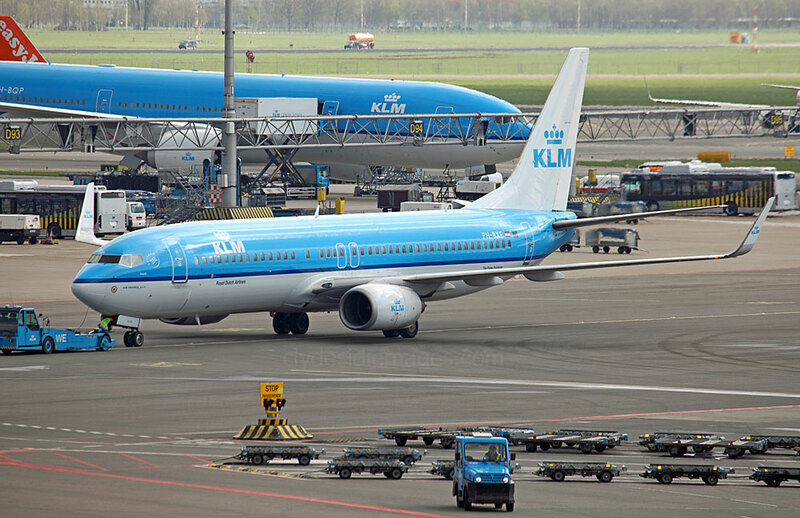 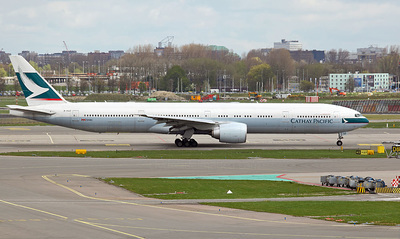 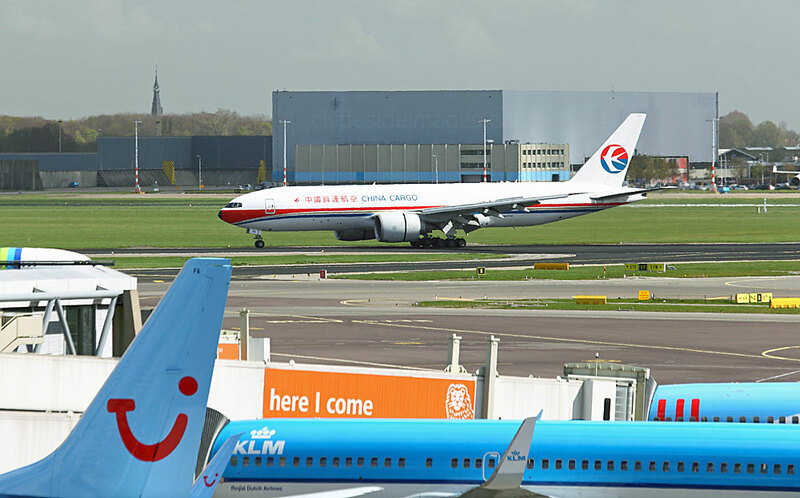 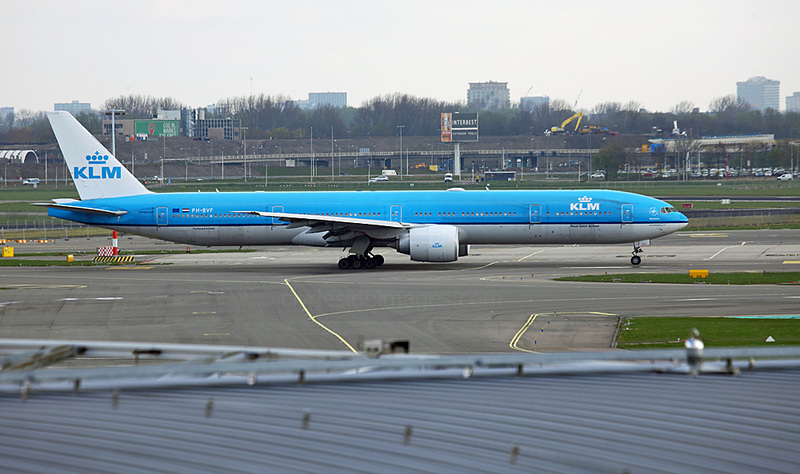 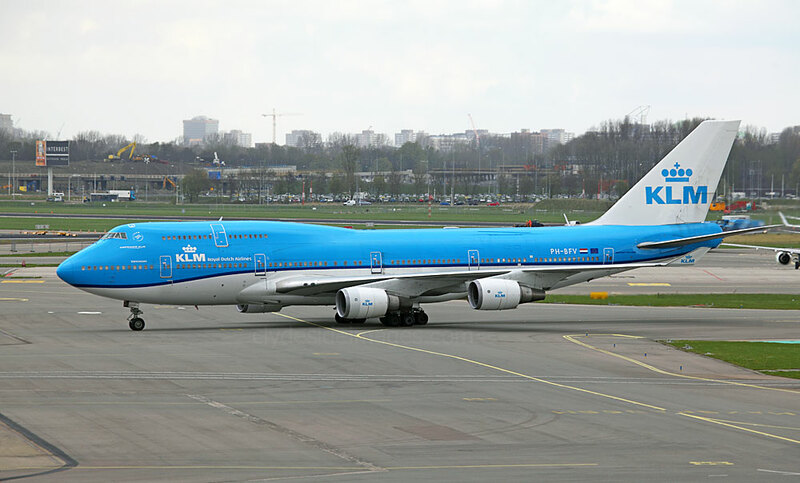 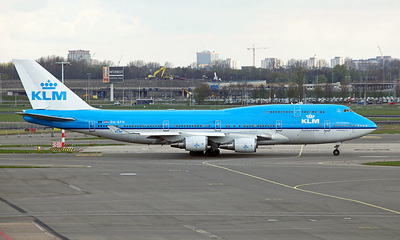 The airline was established in 1995 to operate flights to Taipei without compromising the traffic rights held by KLM for destinations in the People's Republic of China. 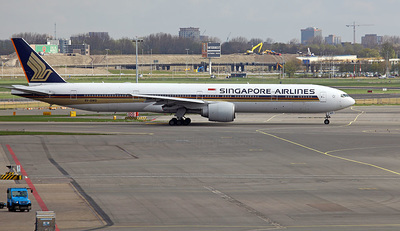 Several other European airlines including British Airways and Air France have also added the 'Asia' name, effectively rendering them as a different airline. If they had not, they would be unable to fly to both the Chinese mainland and Taiwan. 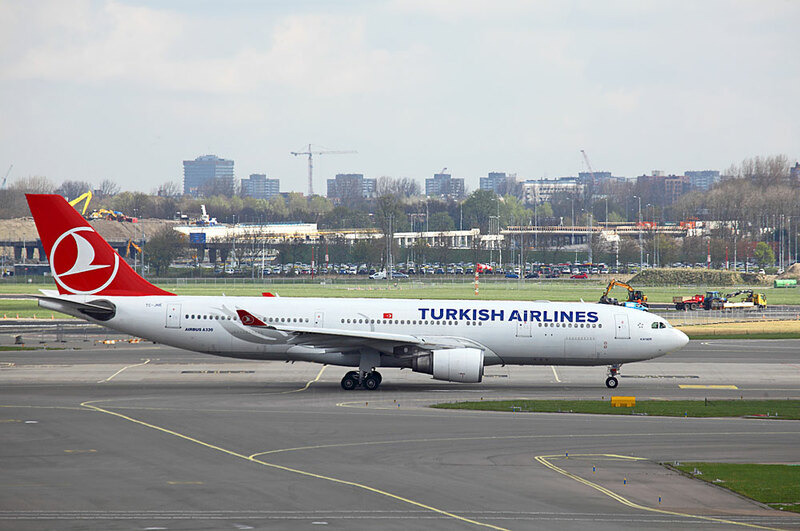 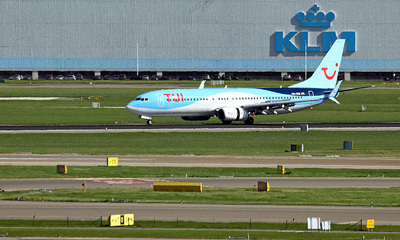 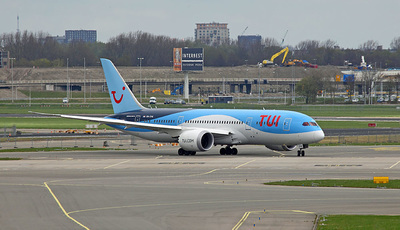 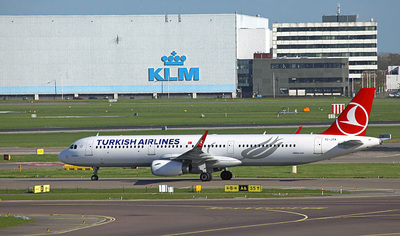 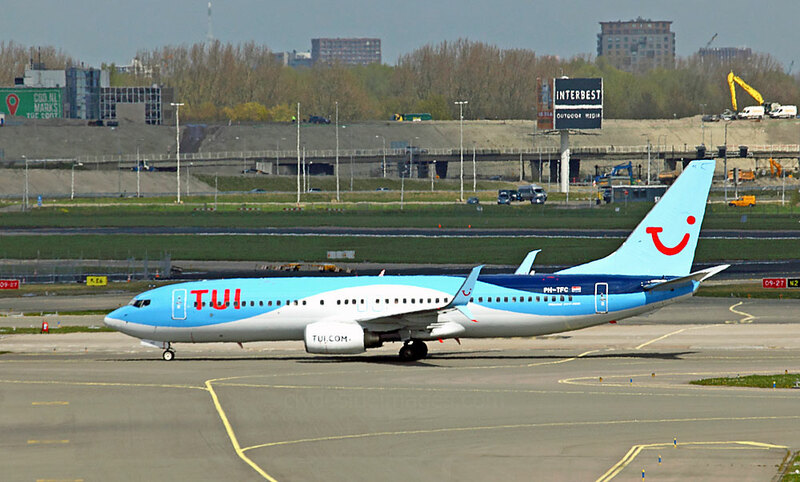 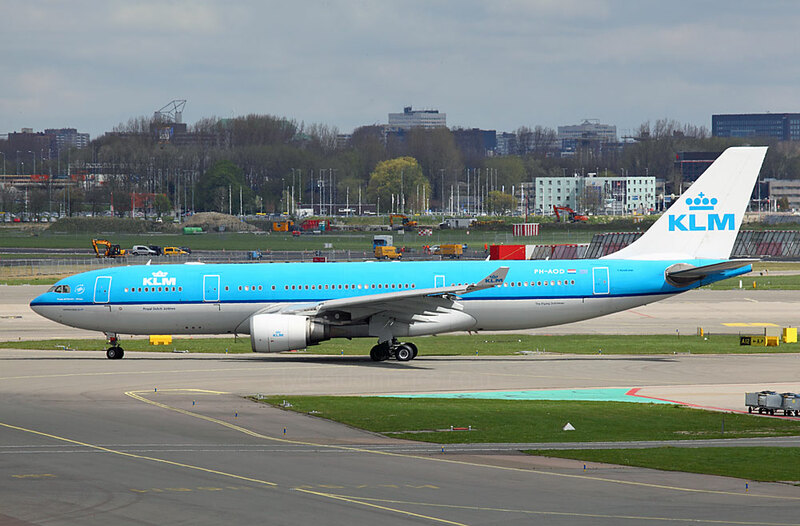 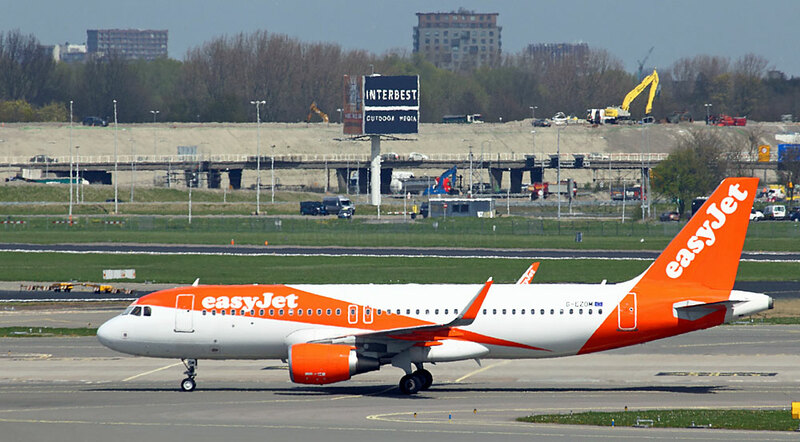 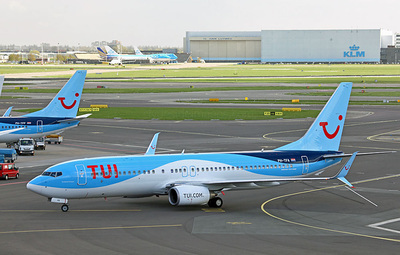 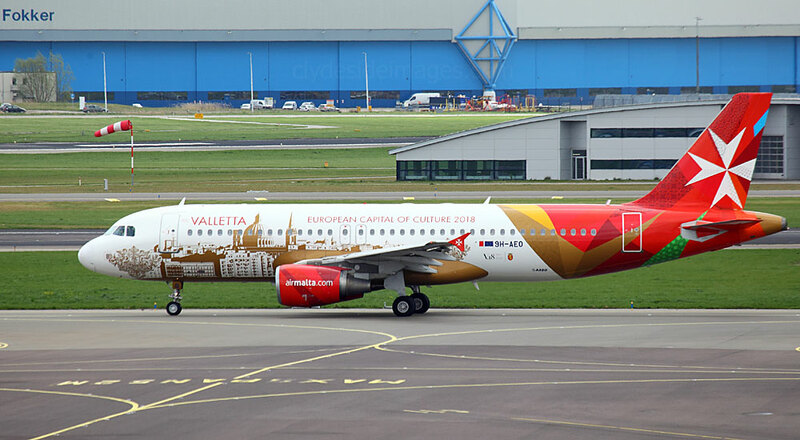 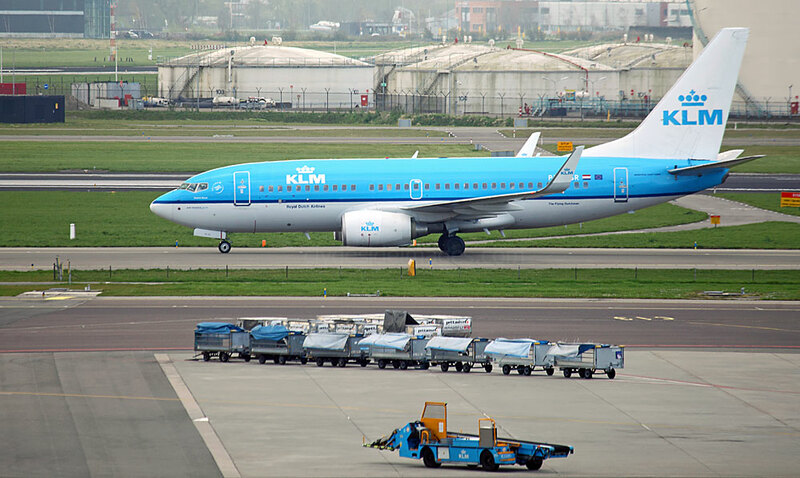 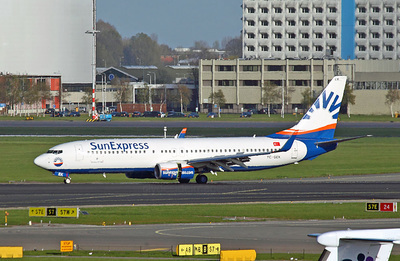 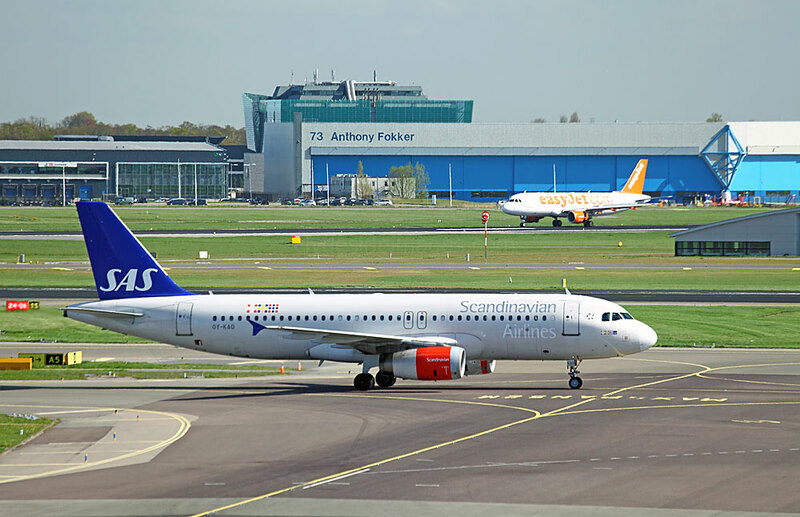 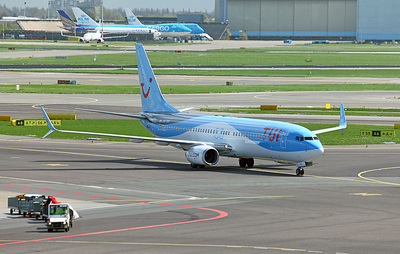 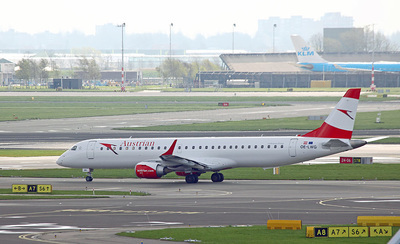 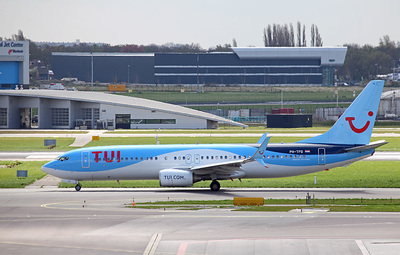 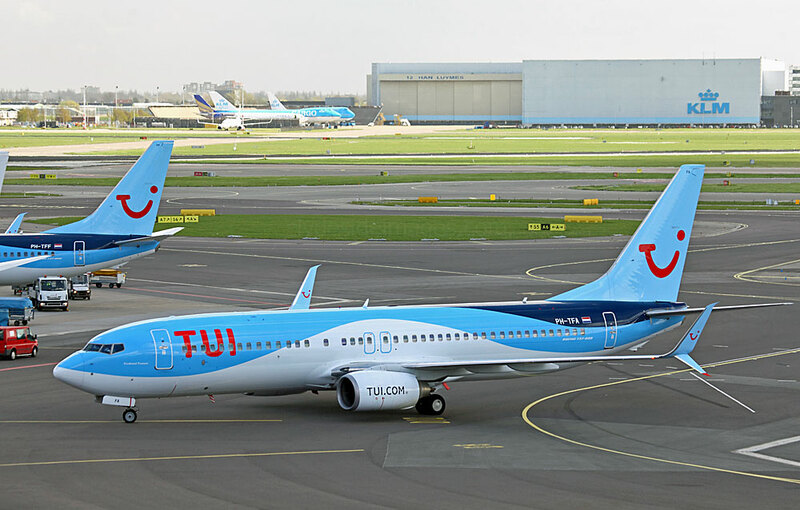 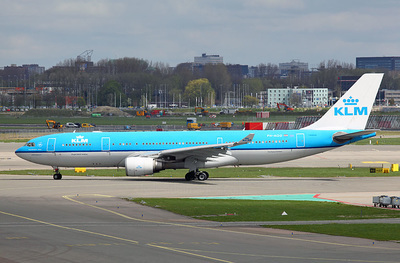 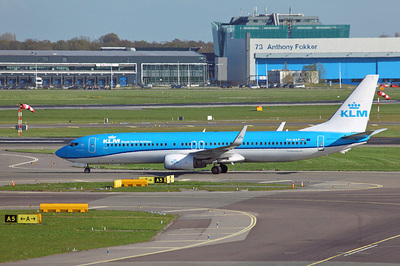 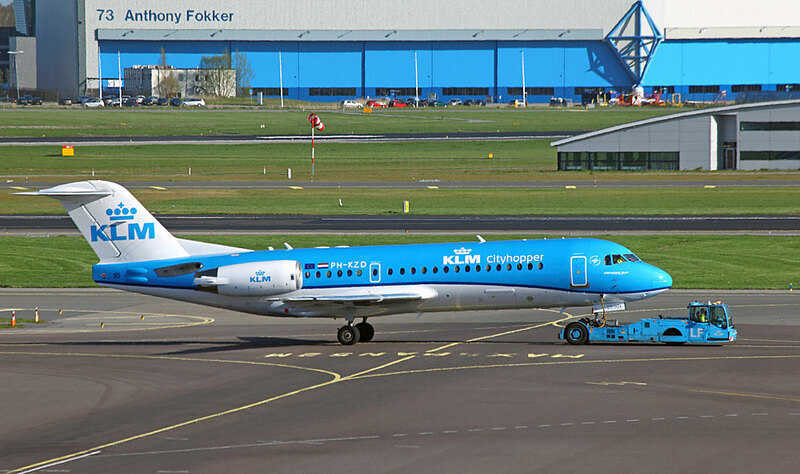 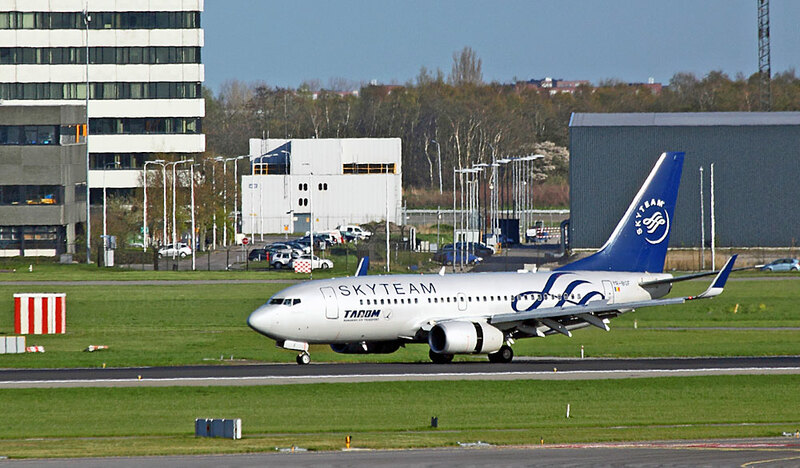 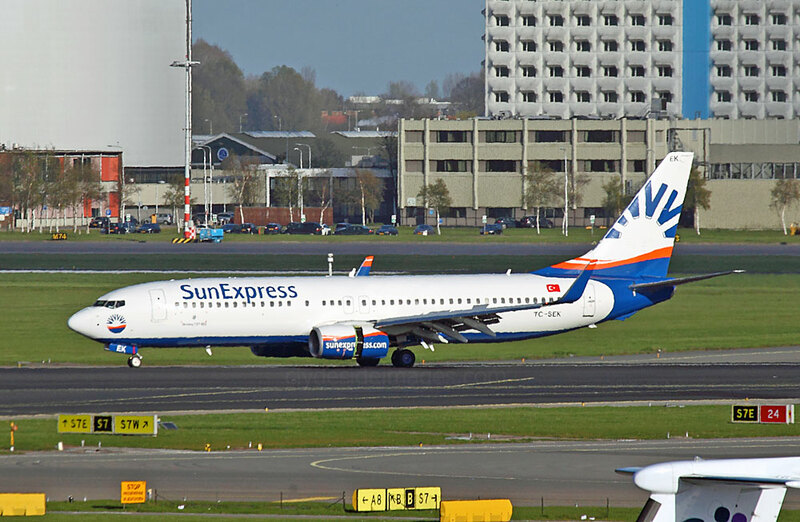 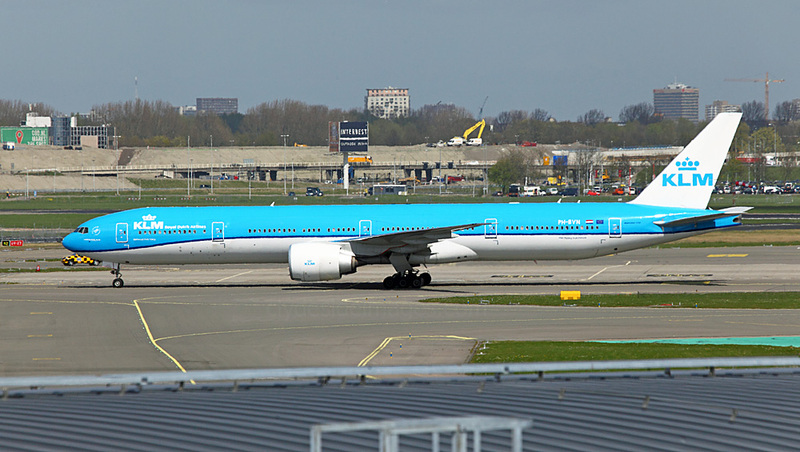 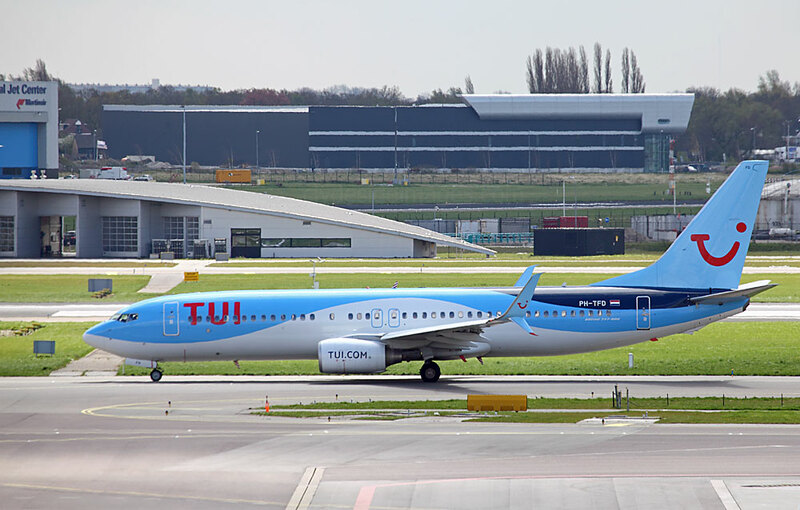 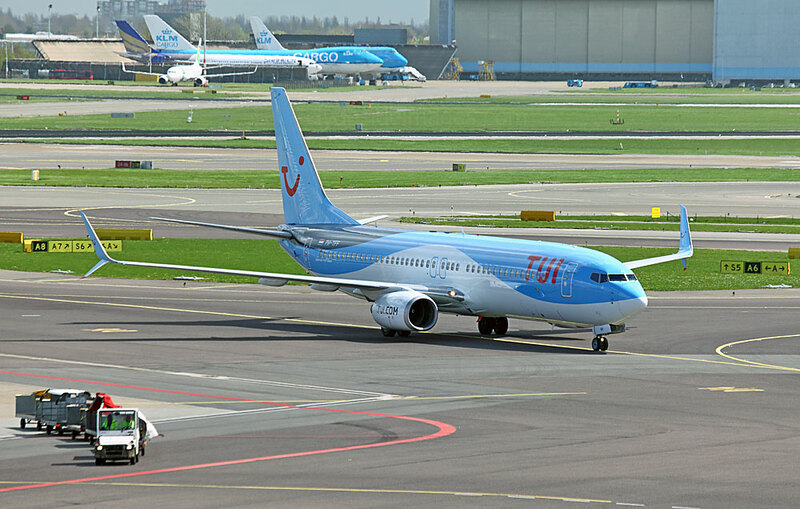 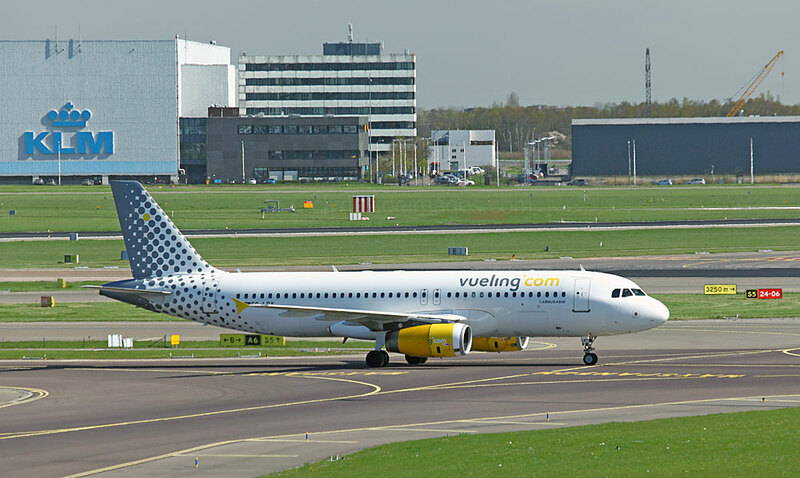 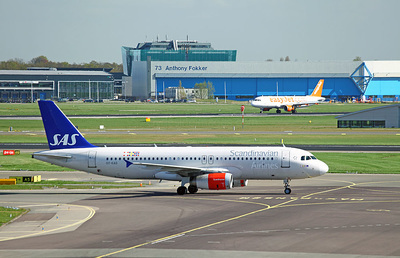 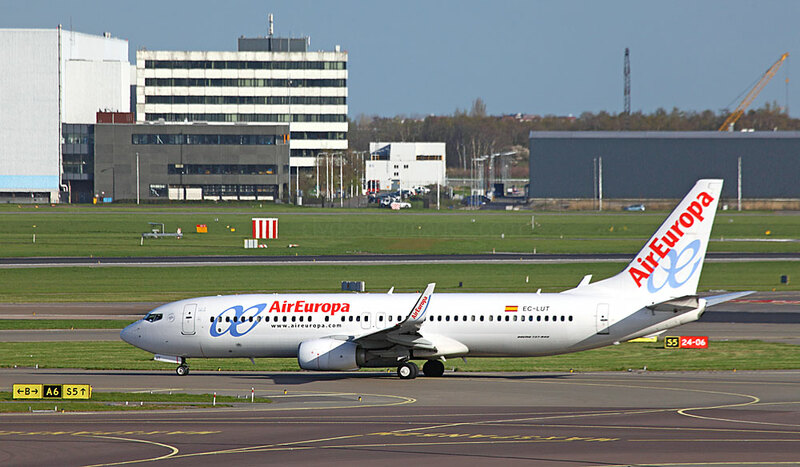 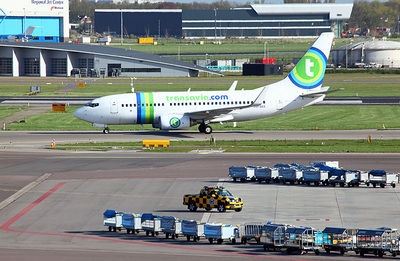 With its main base at Schiphol, the Dutch charter airline Arkefly is now TUI Airlines Netherlands, the charter carrier of the Dutch arm of the German travel conglomerate TUI Group. 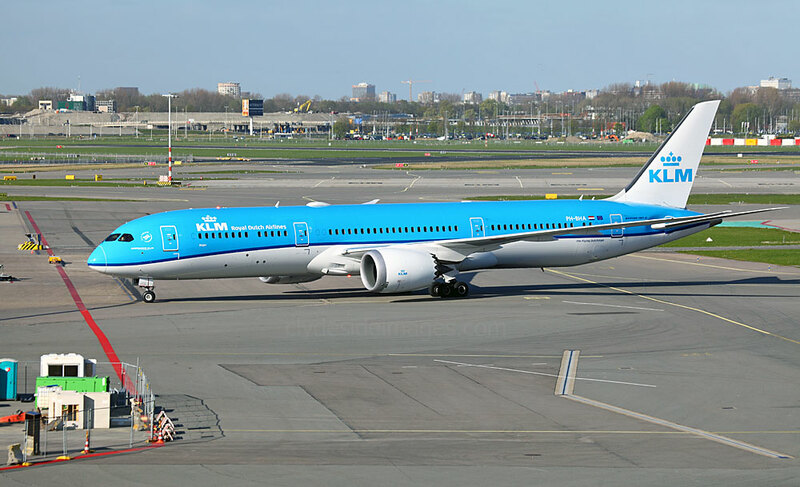 As shown on Boeing 787-8 Dreamliner PH-TFM above, the Arkefly name was abbreviated to Arke to have the corporate design match the travel agency. 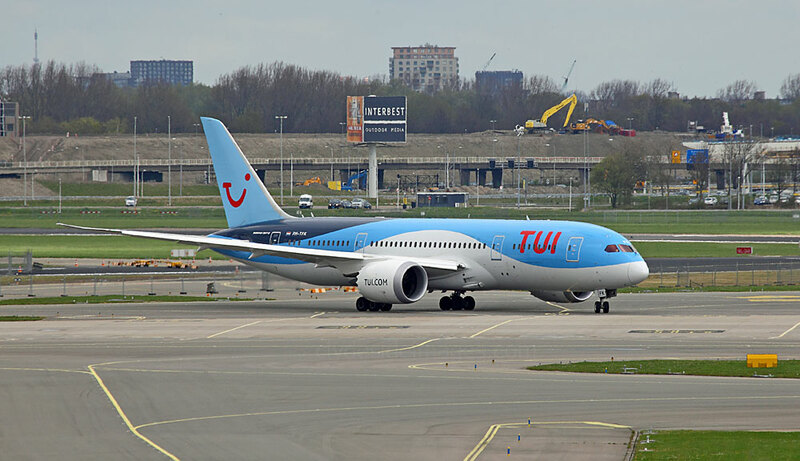 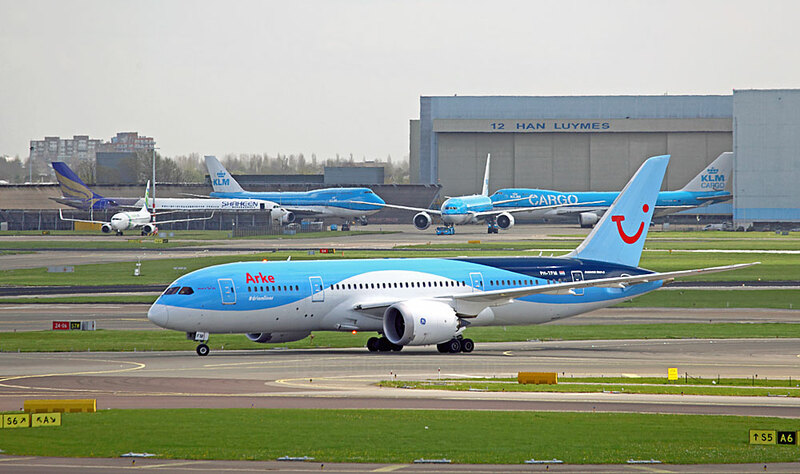 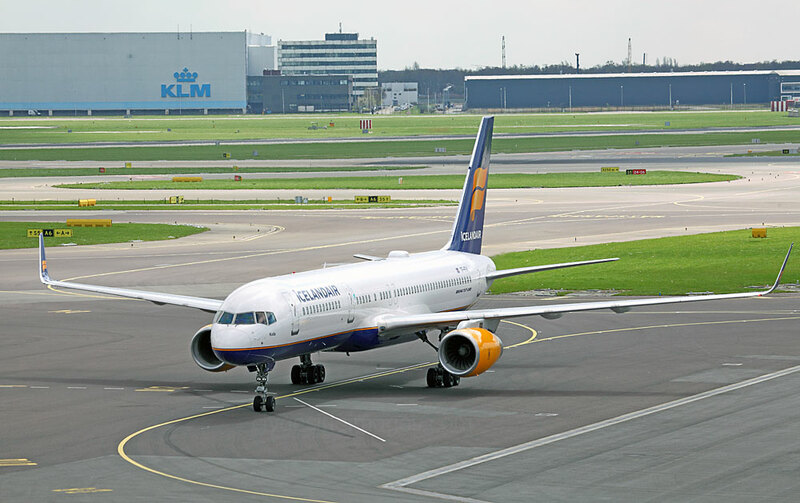 ​The TUI Netherlands fleet, comprising Boeing 737, 767 and 787 aircraft, fly to destinations in the Mediterranean, Canary Islands, Red Sea, Mexico, Caribbean, United States, Canada, Africa, Asia, Brazil and the Dutch Caribbean. 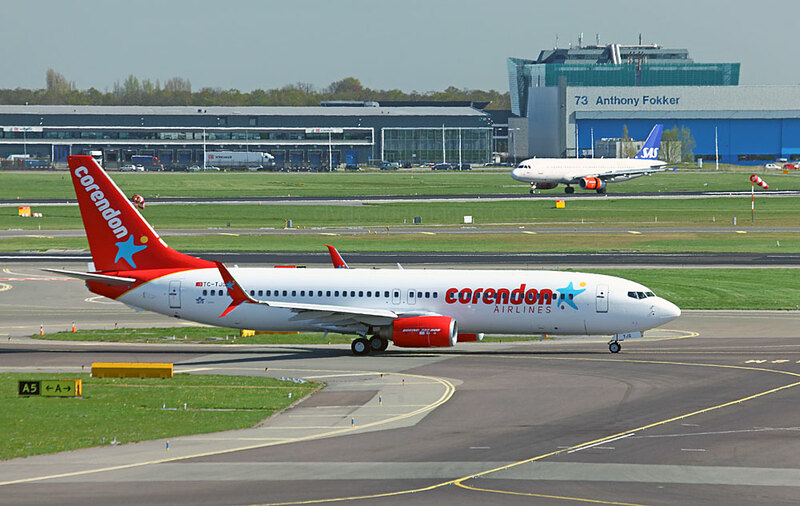 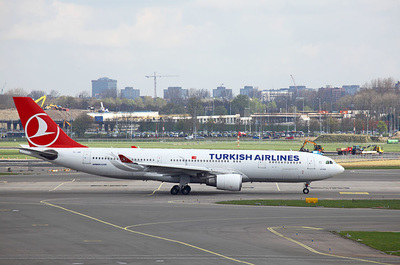 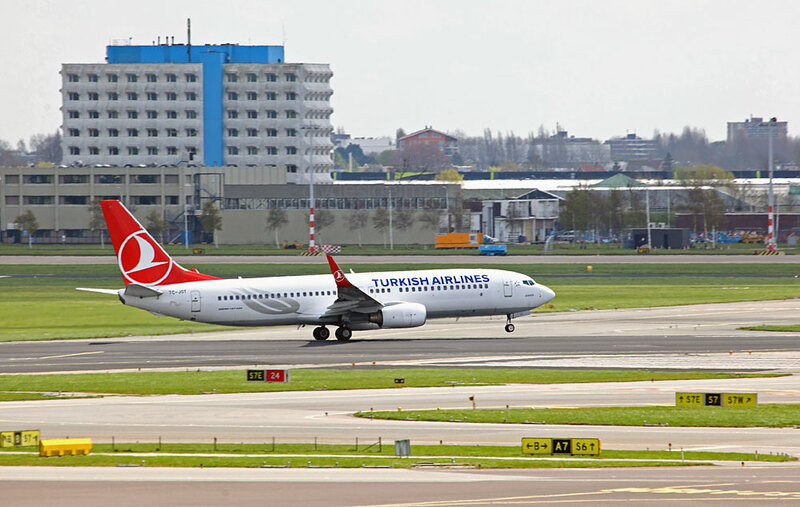 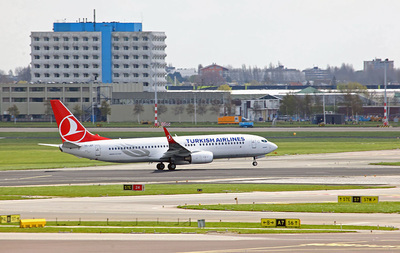 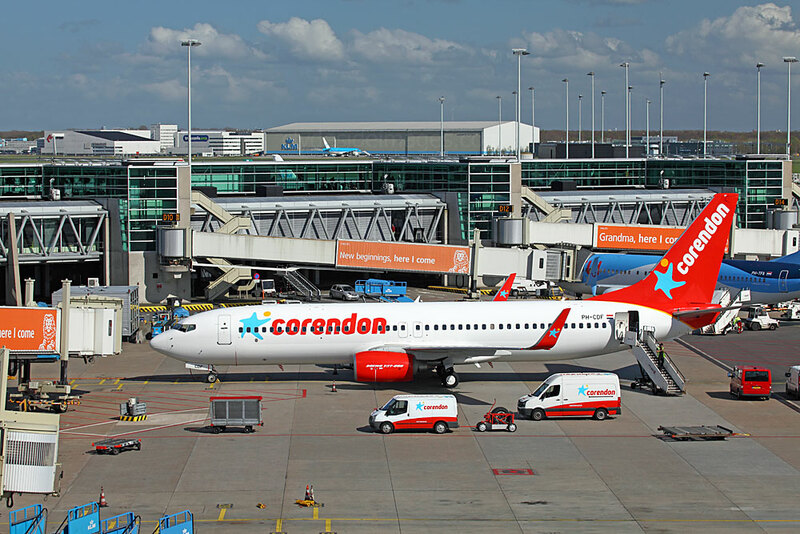 Corendon Dutch Airlines is a Dutch branch of the Corendon Group which also operates Corendon Airlines in Turkey. 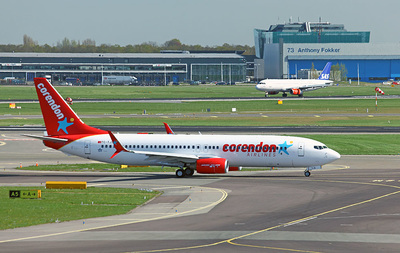 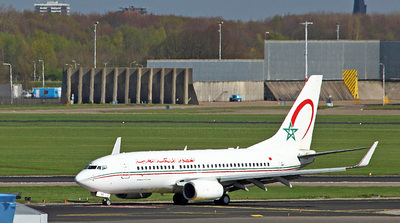 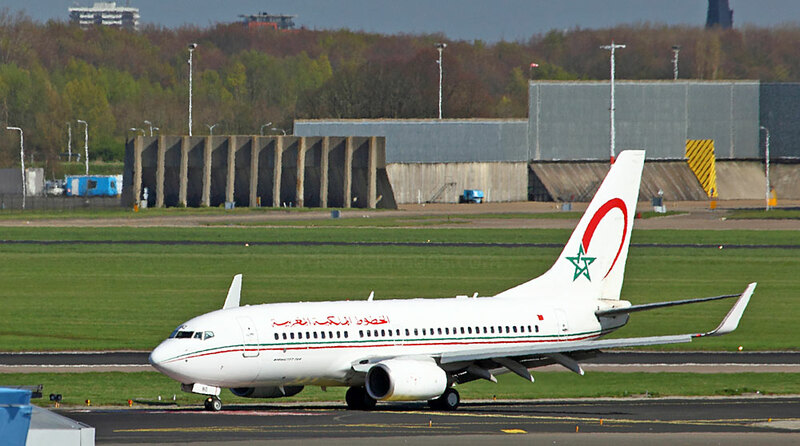 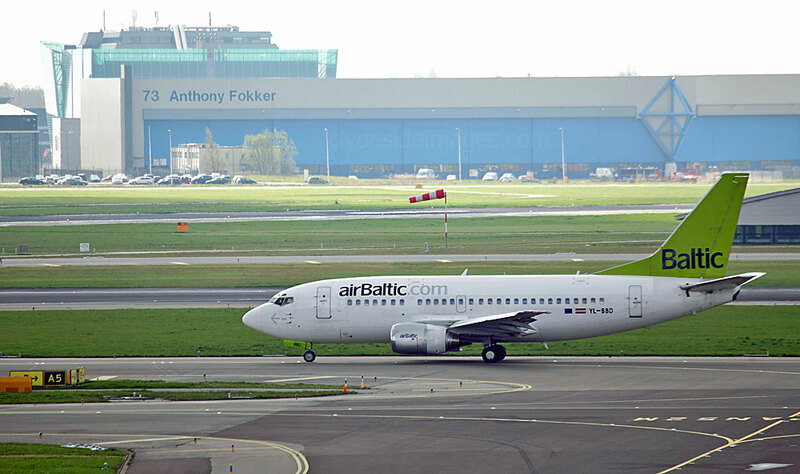 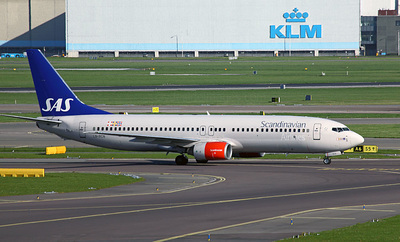 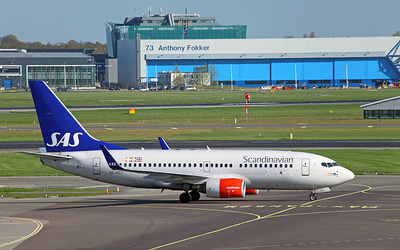 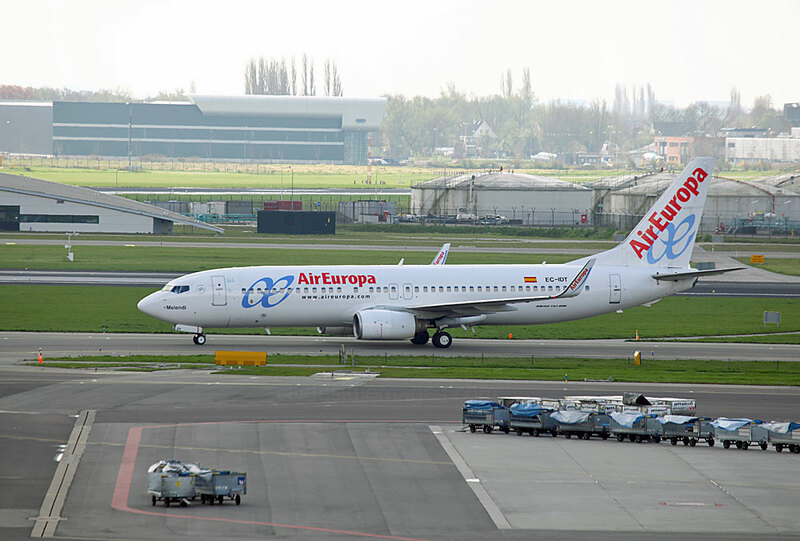 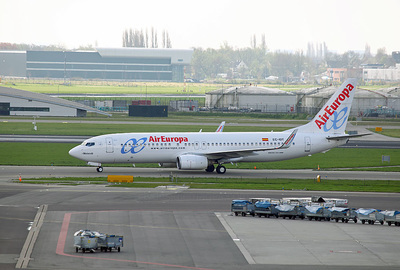 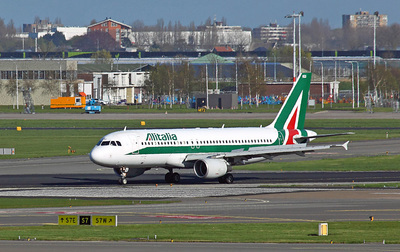 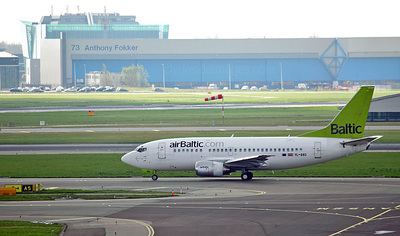 The company began operations in 2011 using a single Boeing 737-800 aircraft and now operates three, one of which, Boeing 737-804(WL) PH-CDF, is shown here. 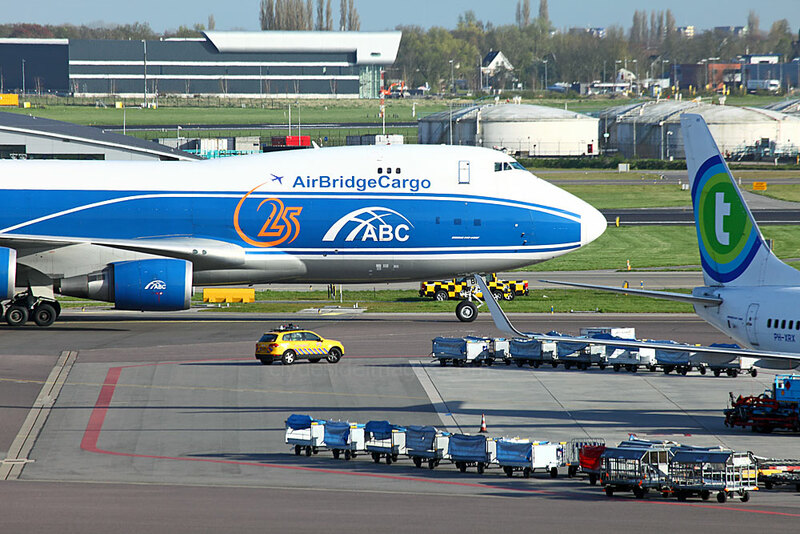 Boeing 747-4KZF VQ-BIA of AirBridgeCargo Airlines, LLC which is the largest Russian cargo airline and part of Volga-Dnepr Group. 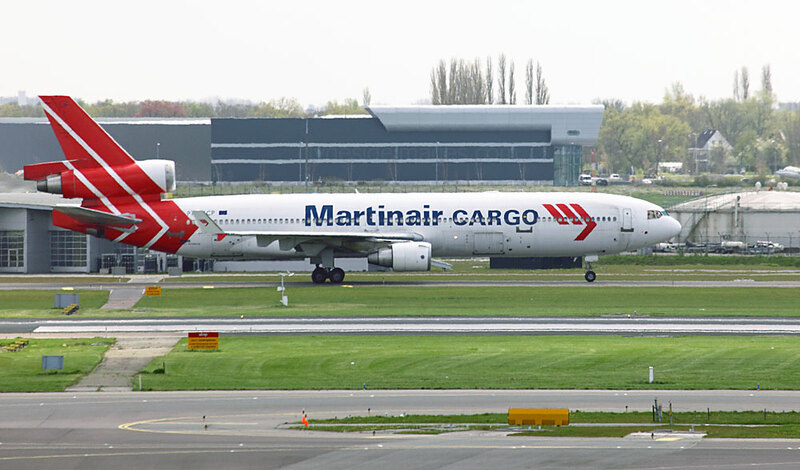 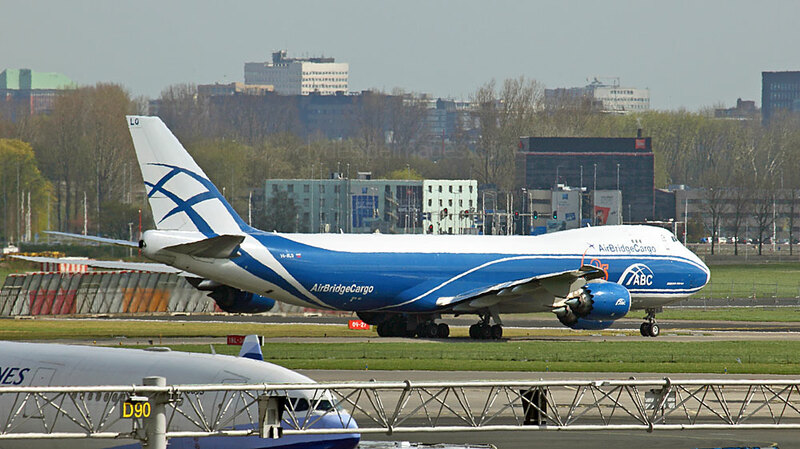 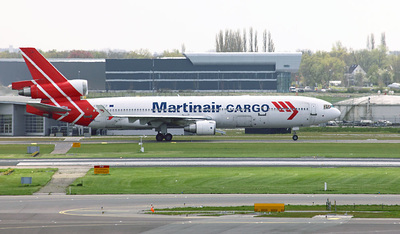 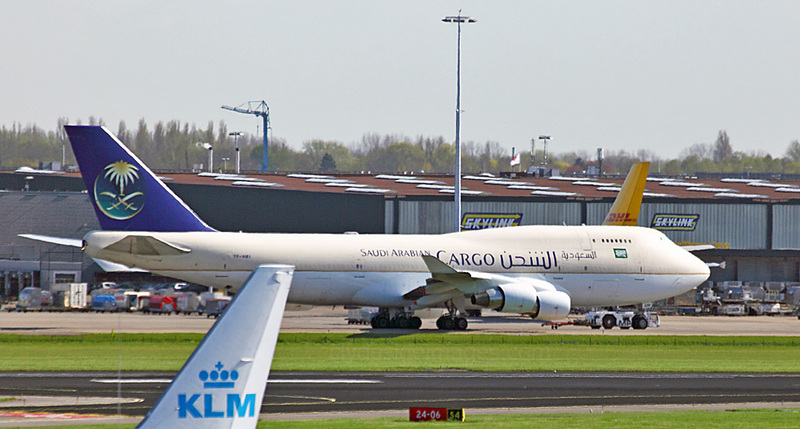 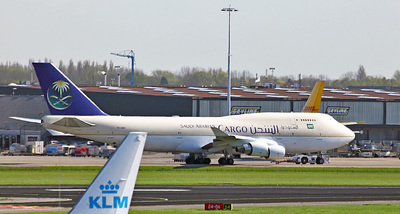 It operates scheduled cargo services on routes between Russia, Asia, Europe and North America. 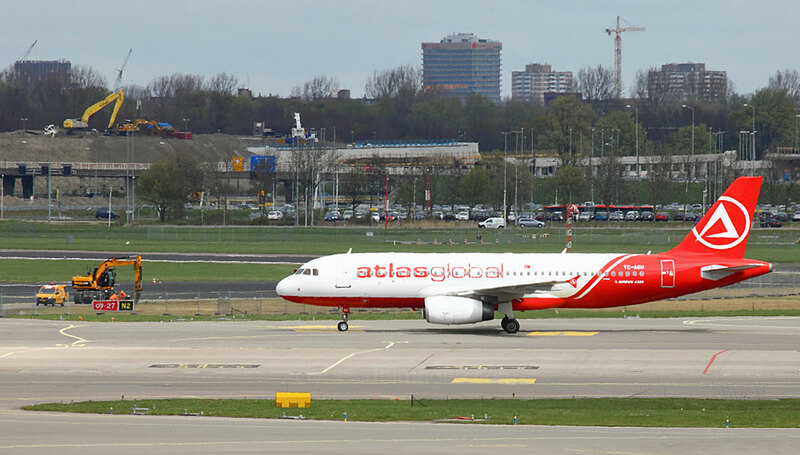 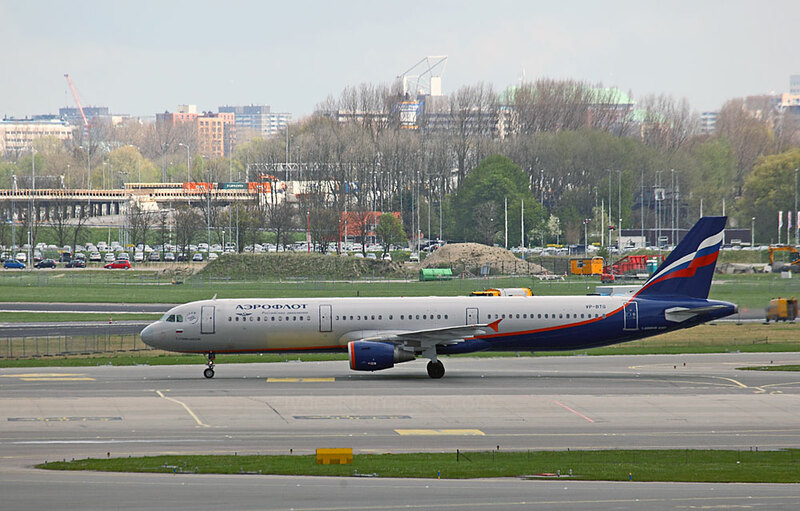 ​All the flights are operated via Moscow hubs in Sheremetyevo International Airport, Domodedovo International Airport, and Vnukovo International Airport. 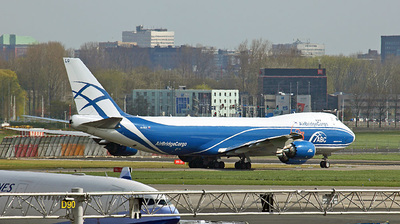 Boeing 747-867F VQ-BVR is pictured below. 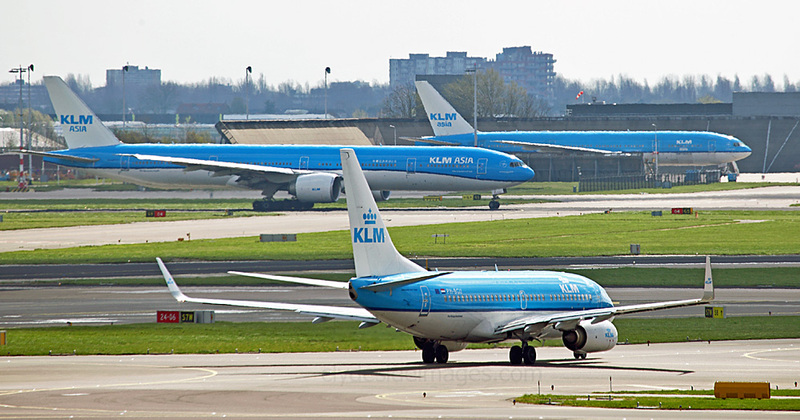 In all, three ABC Jumbos were photographed. 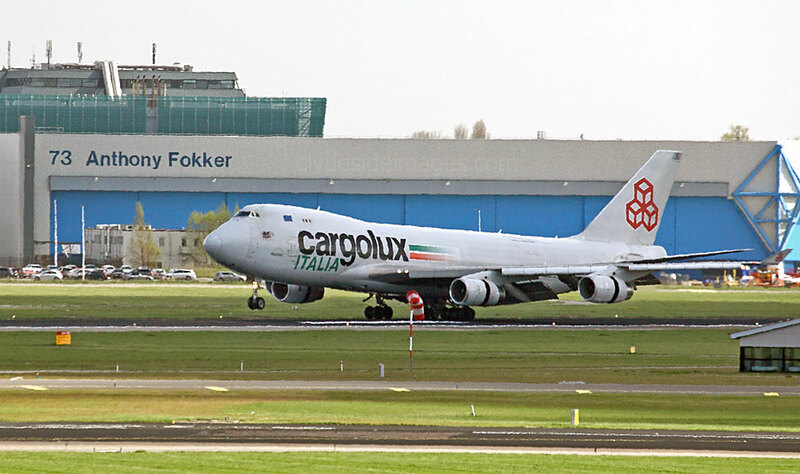 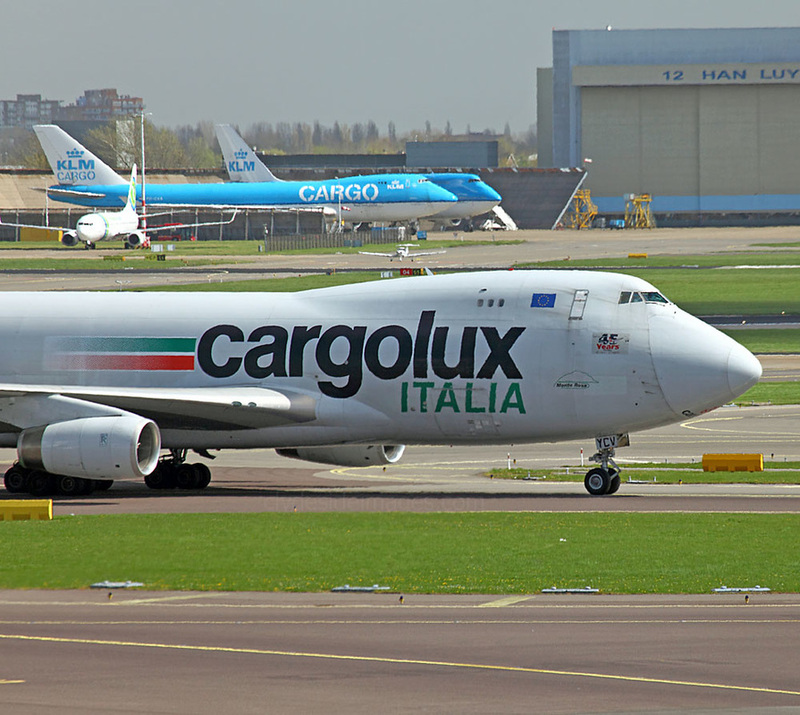 Cargolux Italia Boeing 747-4R7F LX-YCV. 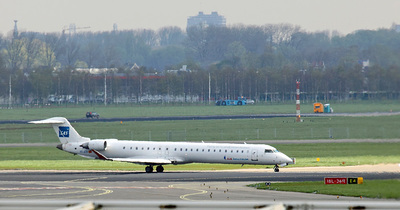 A recently arrived United Airlines jet taxies to stand. 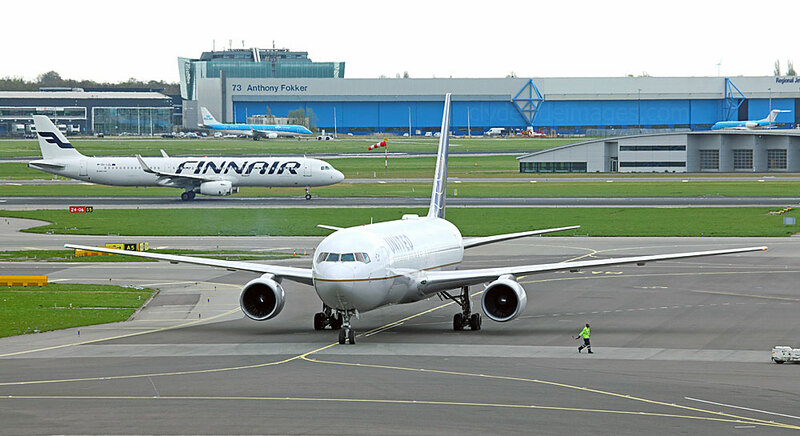 ​Finnair Airbus A321-231(WL) OH-LZL is in the background. 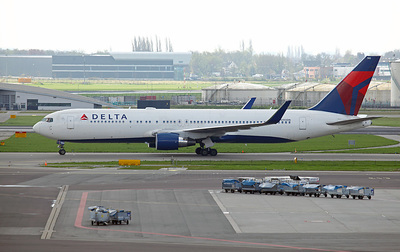 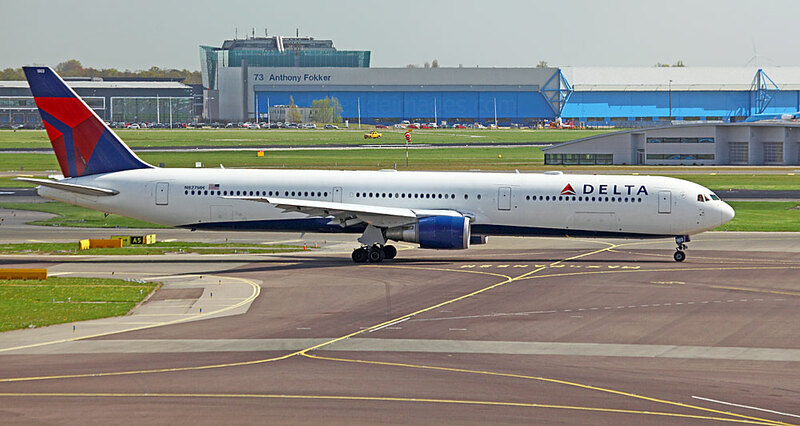 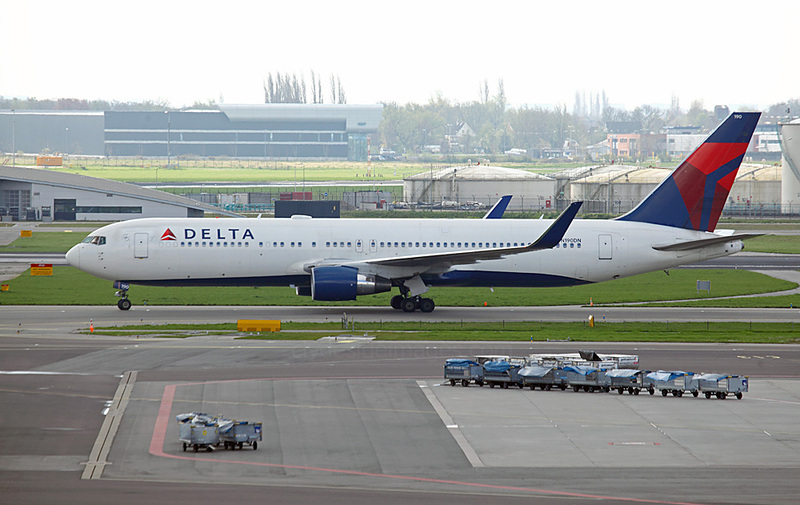 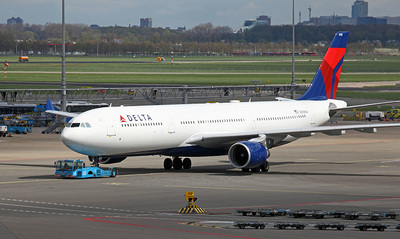 Below: N827MH Delta Air Lines Boeing 767-432(ER). 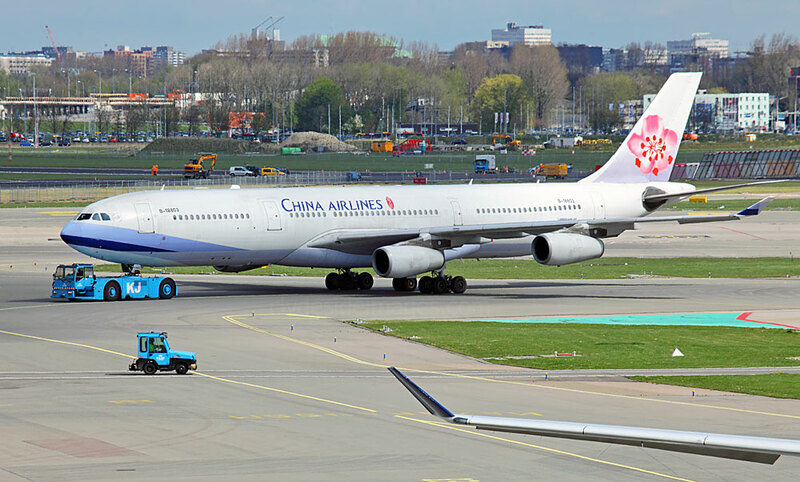 B-18803 Airbus A340-313 China Airlines. 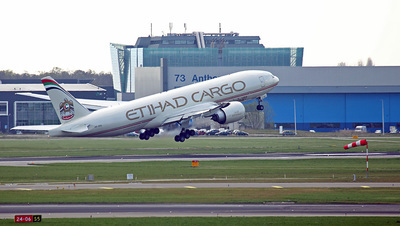 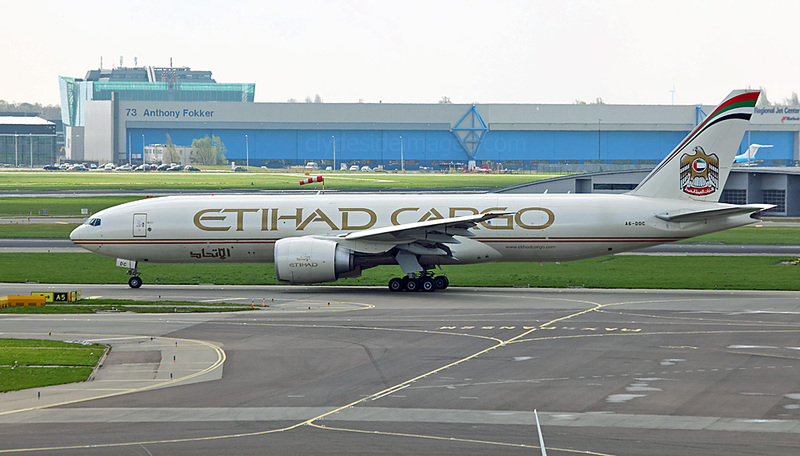 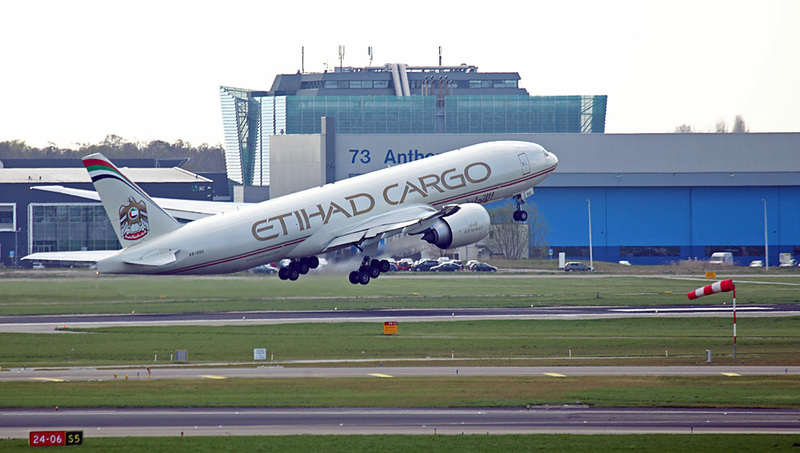 Boeing 777-FFX A6-DDC Etihad Airways Cargo. 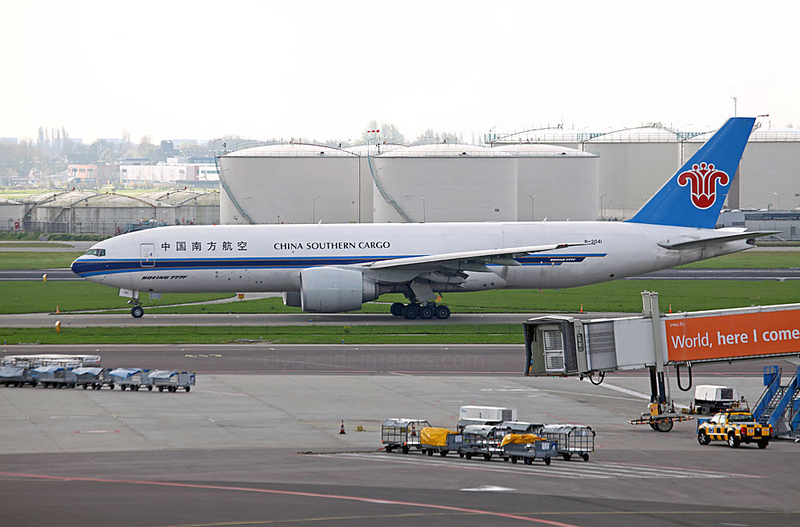 China Southern Airlines is the world's sixth-largest airline measured by passengers carried, and Asia's largest airline with regard to fleet size and number of passengers carried. 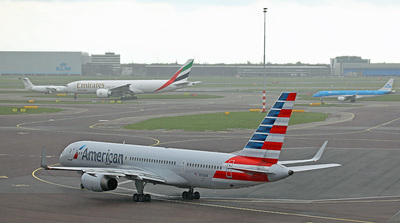 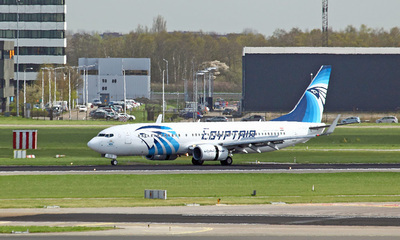 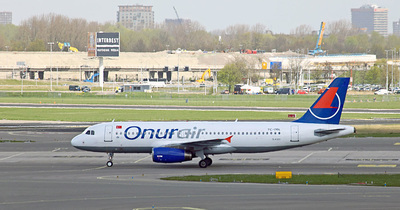 Also, the high volume of domestic passengers carried make it the the world`s fourth-largest airline in that category. 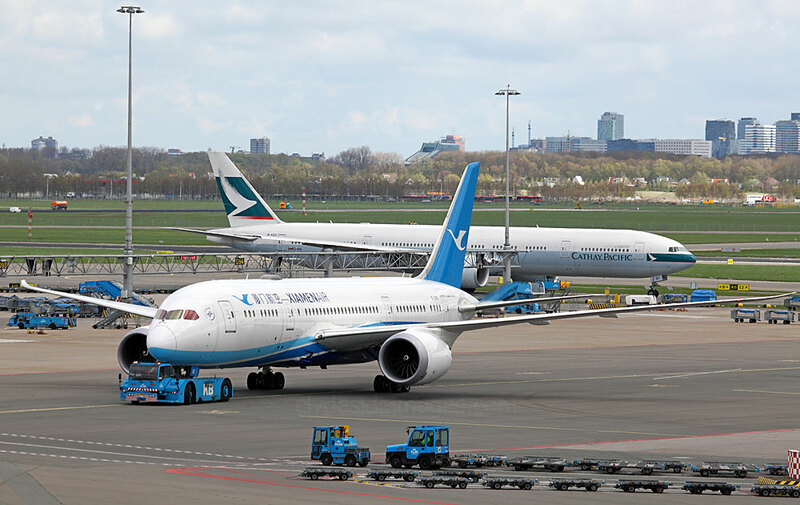 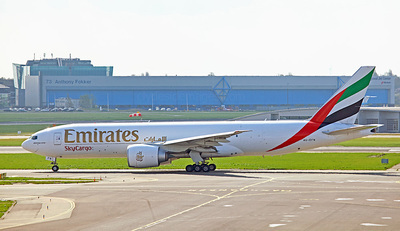 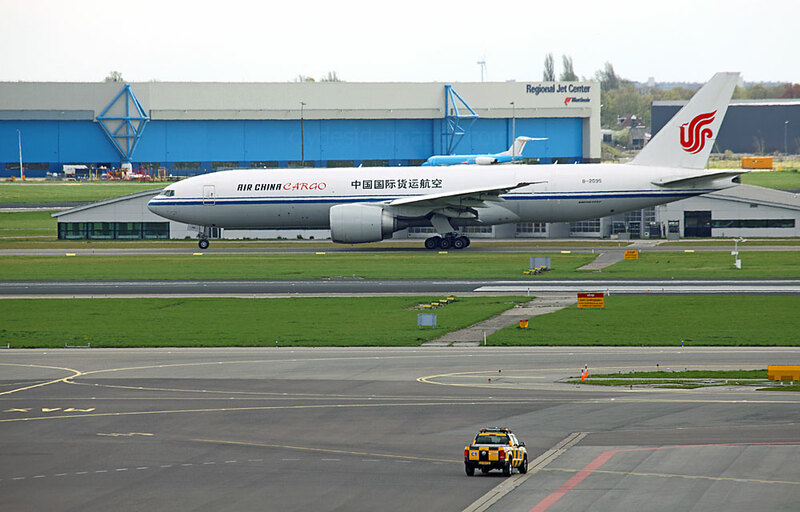 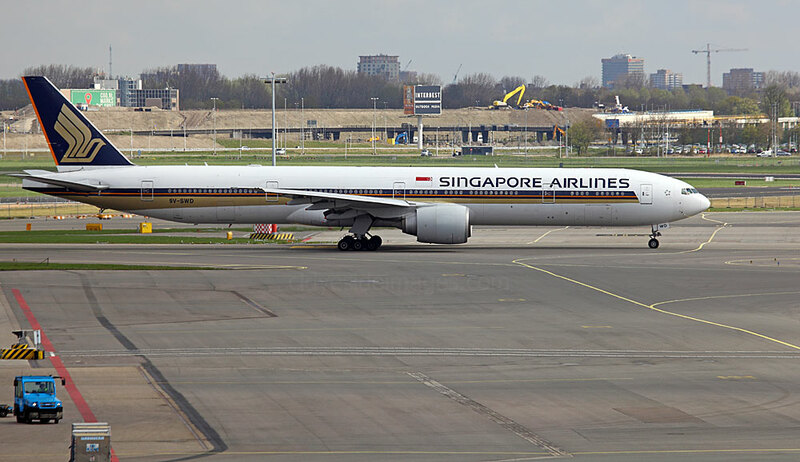 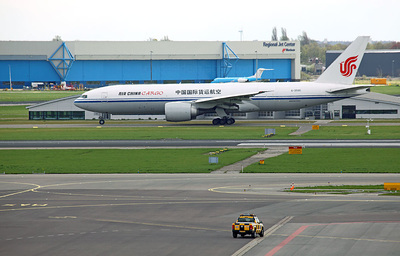 From its main hubs at Beijing Capital International Airport and Guangzhou Baiyun International Airport, the airline flies to 193 destinations using a fleet of more than 400 aircraft including cargo Boeing 777-200F B-2041 which is pictured above on Tuesday 16 April taxiing for take-off. 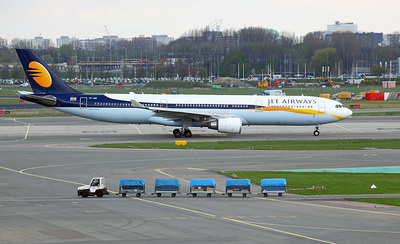 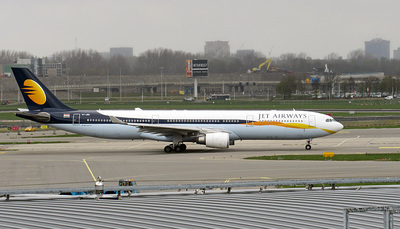 Jet Airways VT-JWT Airbus A330-302. 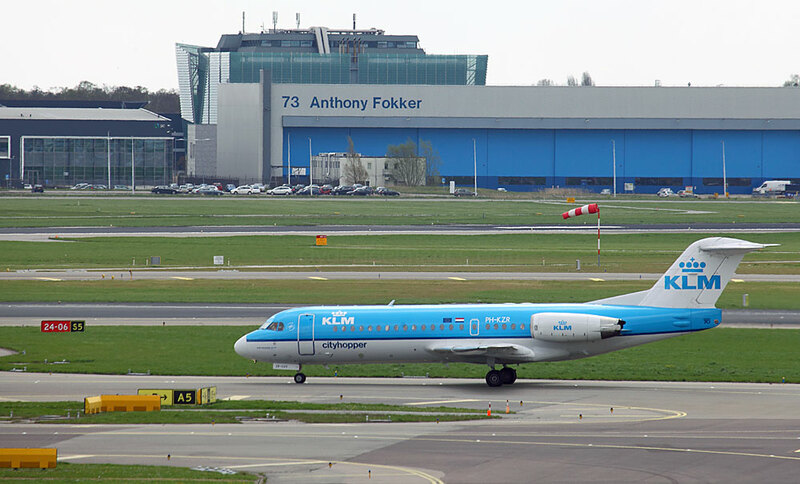 Partially visible in the distance is an ex-Air France Fokker F27-500 Friendship which is preserved at the Fokker Logistics Park and painted to represent the F.27-100 Friendship prototype PH-NIV. 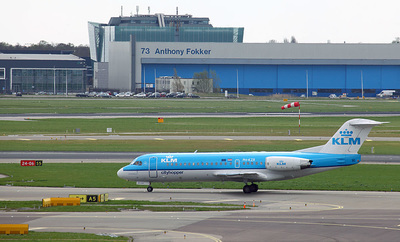 The business park is currently undergoing expansion and occupies the former site of the Fokker Aircraft factory. 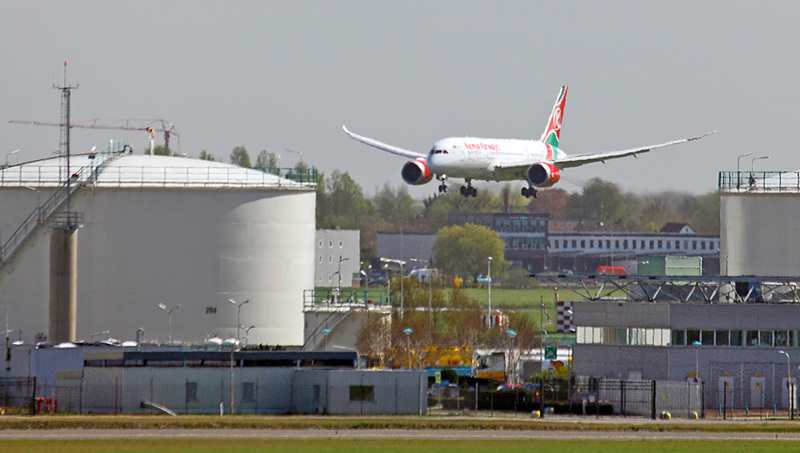 5Y-KZC Boeing 787-8 Dreamliner Kenya Airways. 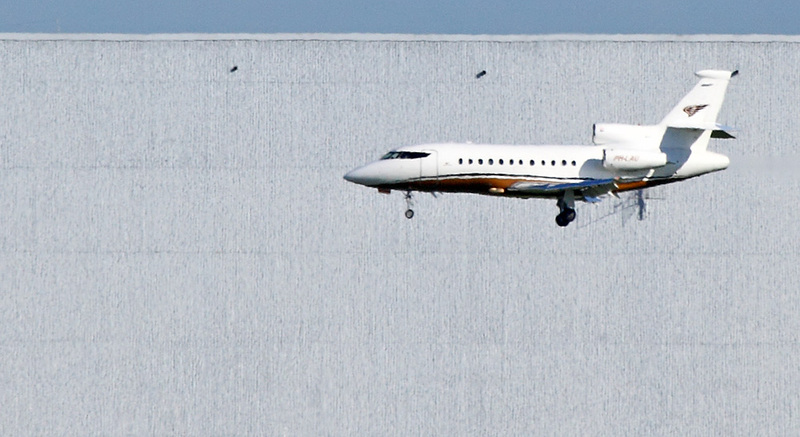 This view of the biz-jet ramp was taken from the viewing terrace with a 400mm lens. 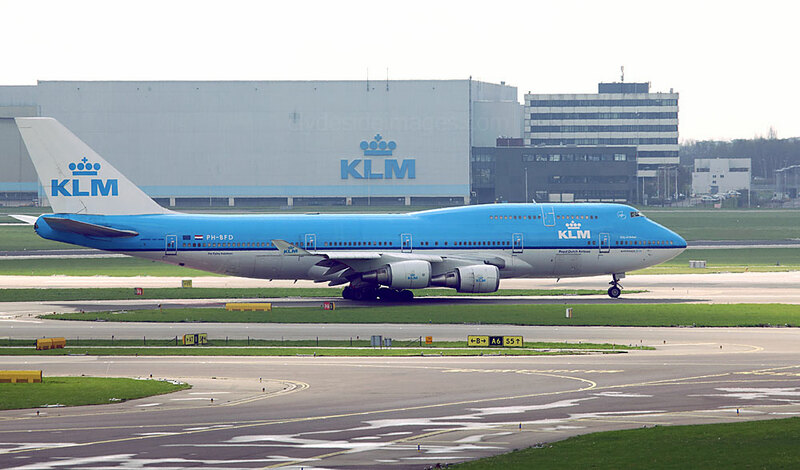 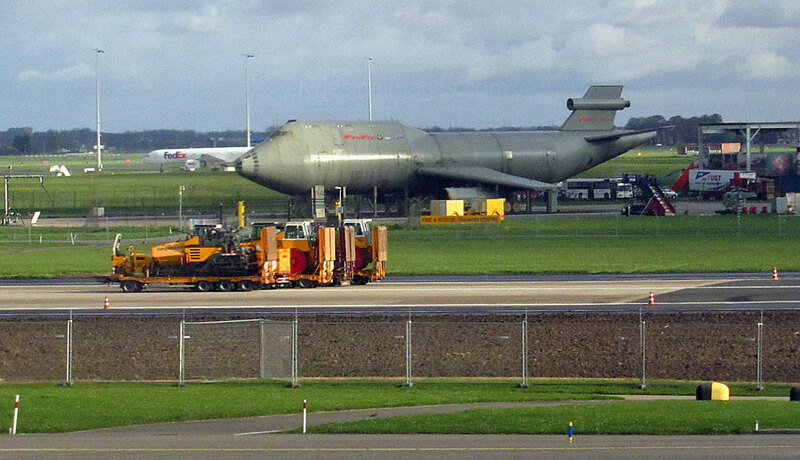 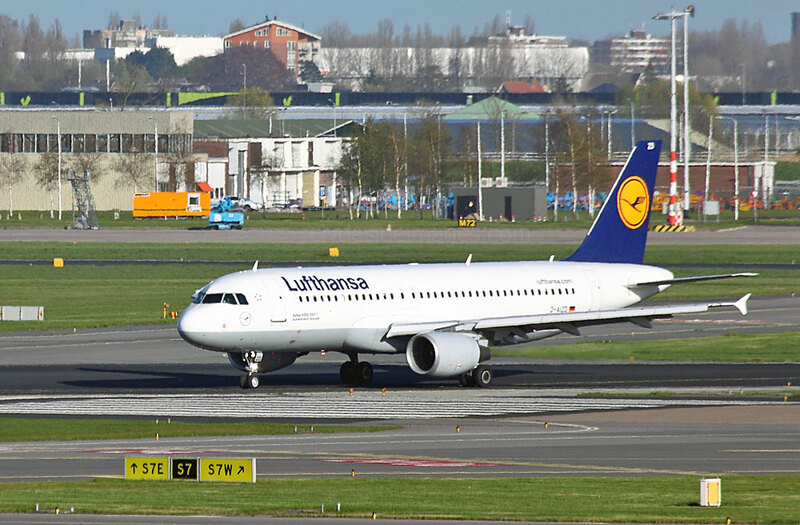 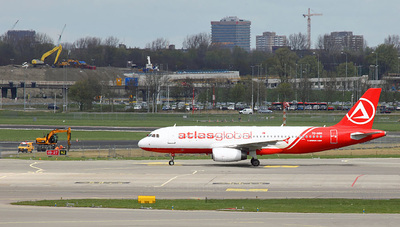 An even larger telephoto lens would be needed for decent shots of the aircraft parked here or taxiing to take-off. 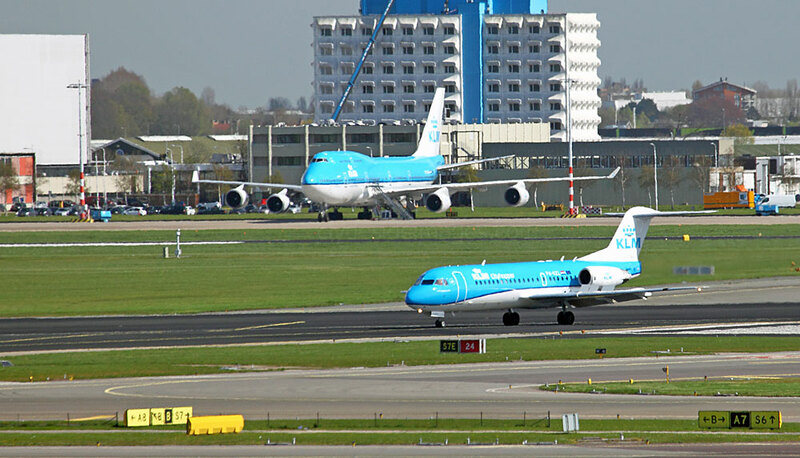 Heat haze is also a common problem as can be seen in the gallery images below. 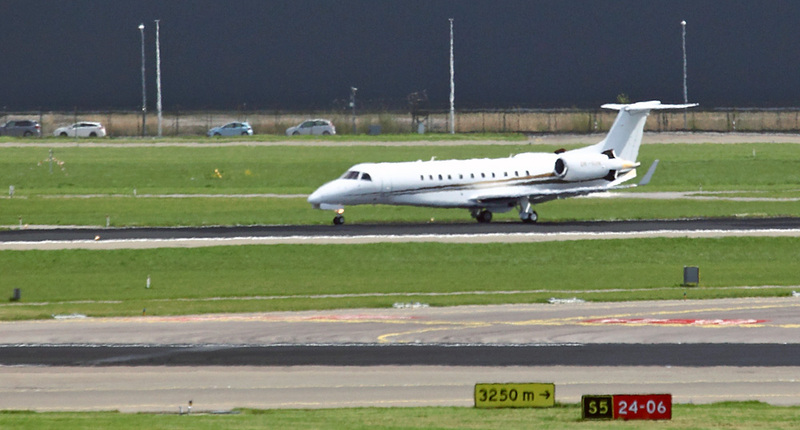 Gulfstream G550 V-SP G550 VT-BRS on short finals was snapped from the same location. 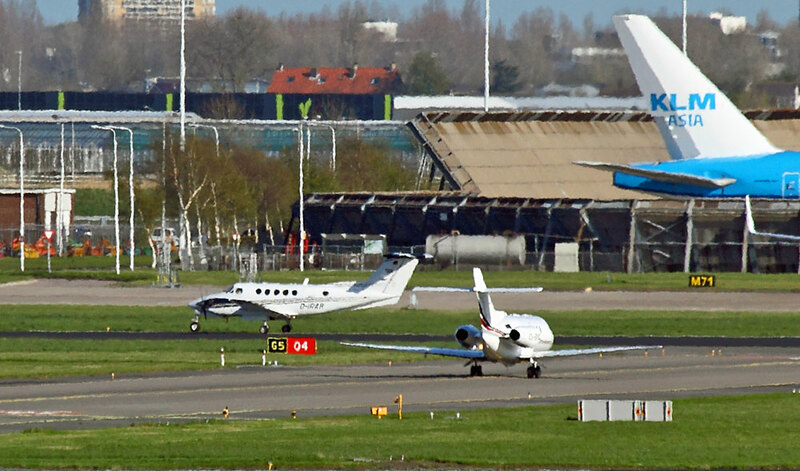 On finals are Gulfstream G550 V-SP G550 VT-BRS (above) and below left, Dassault Falcon 900EX PH-LAU. 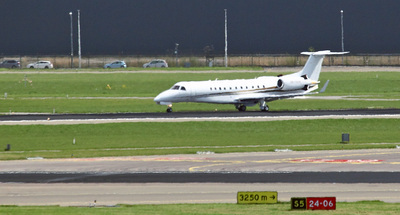 US Falcon-2000EX N1JK is pictured below right. 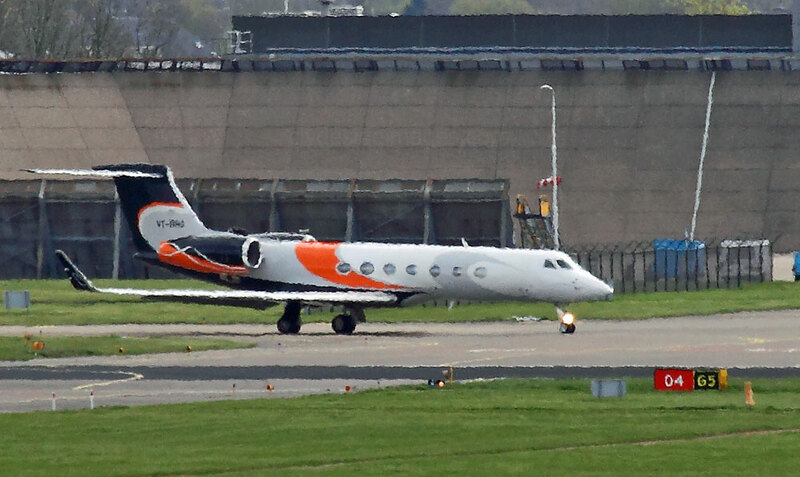 Gulfstream Aerospace G-IV N1 of the US Federal Aviation Administration (FAA) was a surprise visitor on 19 April 2016. 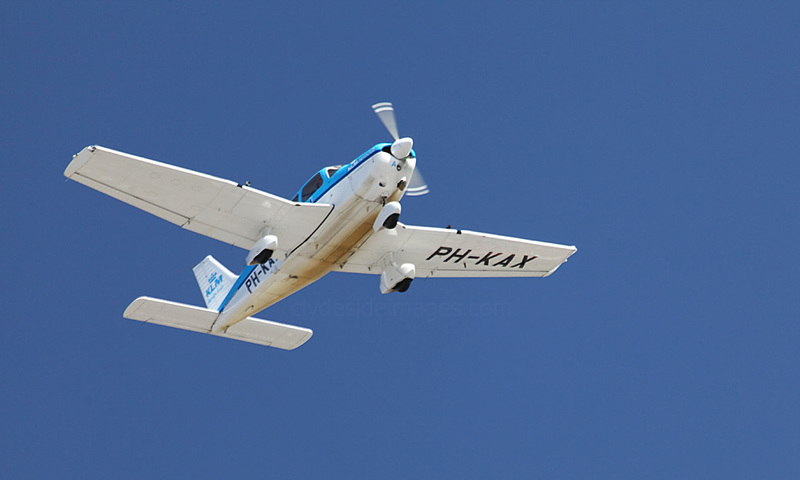 This Pilatus PC-7 Turbo Trainer, serial number L-04, made a couple of low airshow-style circuits above the viewing terrace. 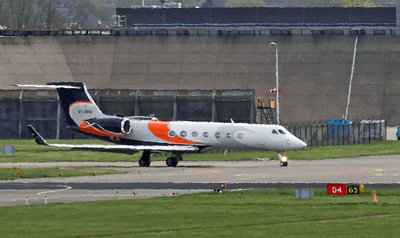 The aircraft is one of 13 currently in service with 131 Squadron, Royal Netherlands Air Force, all operating from Woensdrecht Air Base. 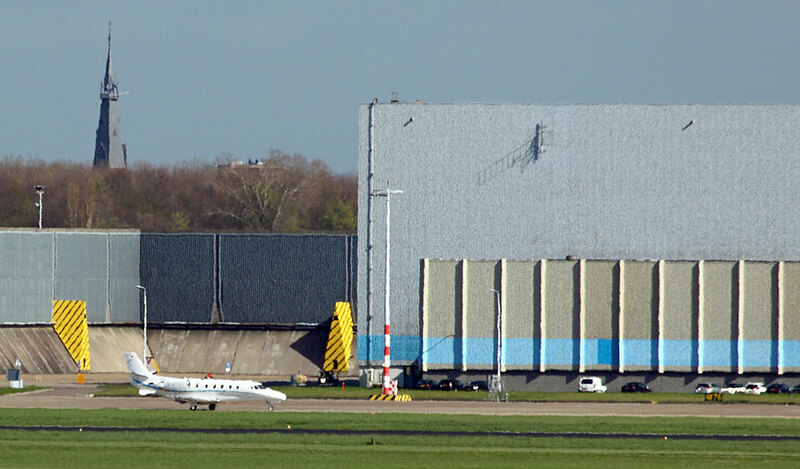 RNLAF trainee pilots, whether aiming to progress onto F-16 fighter jets, transports or helicopters, start with the PC-7. 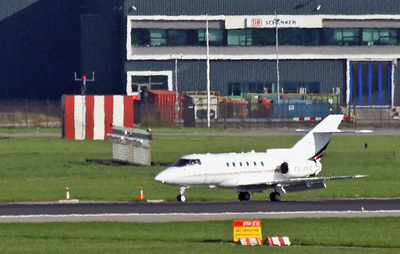 The initial course lasts 7 months after which they continue with training specific to their role. 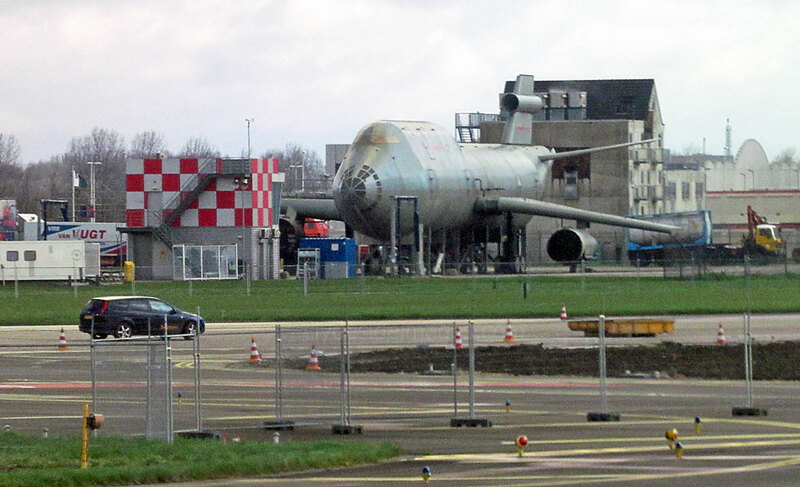 Much of this takes place in the USA. 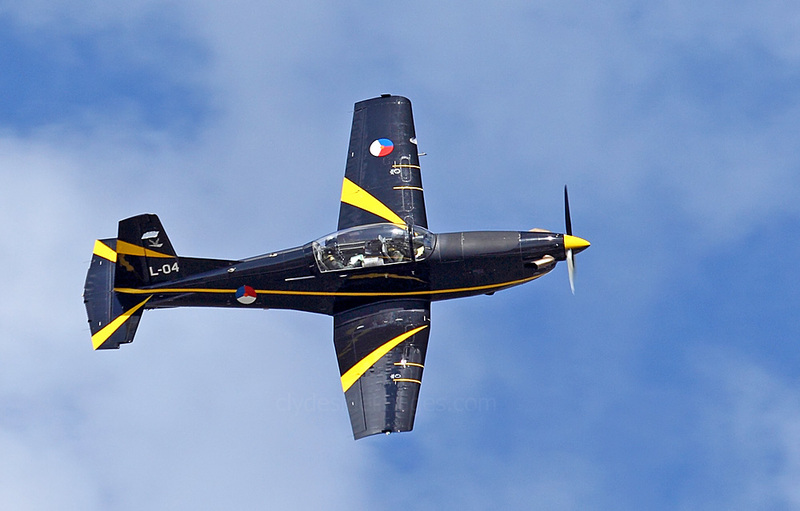 The Royal Netherlands Navy have also began to use the PC-7 for pilot training. 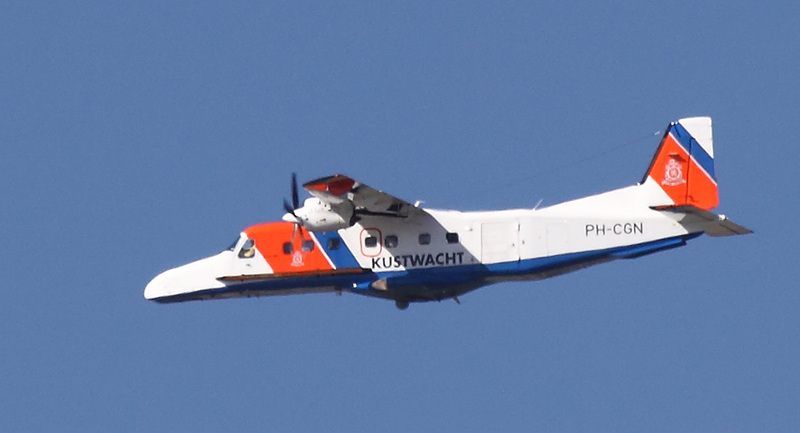 Dornier Do-228-212 PH-CGN of the Netherlands Coastguard (Nederlandse Kustwacht).